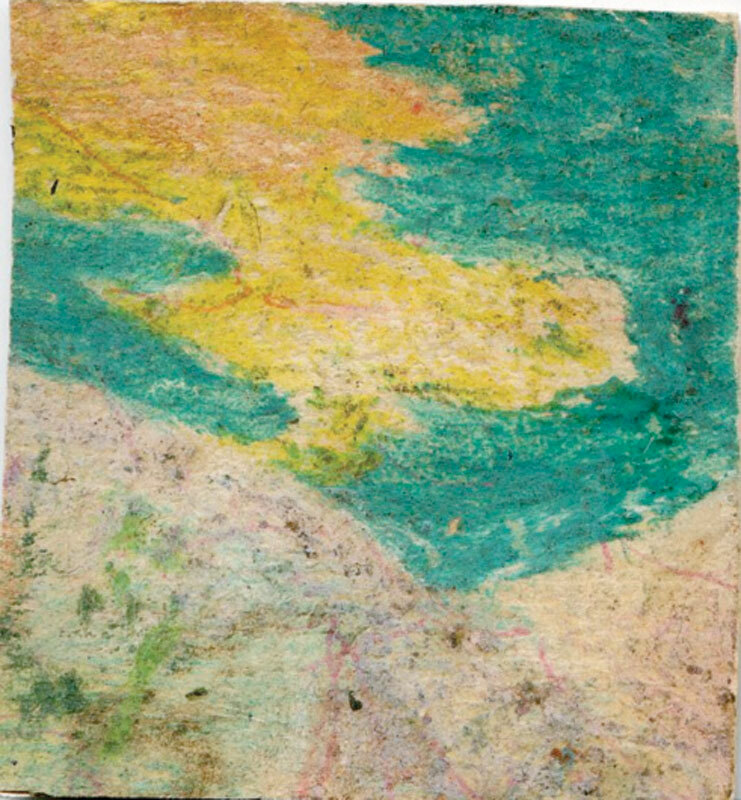 Boers-Li Gallery is pleased to announce the exhibition "Made in Prison", a series of drawings made by Kang Wanhua during his imprisonment from 1976 to 1978. 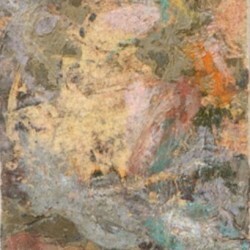 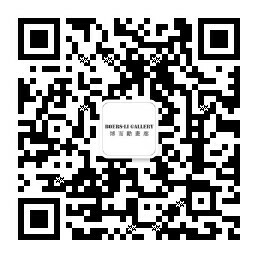 "Made in Prison" is part of Boers - Li Gallery's research project into the roots of contemporary art in China, initiated with "Out of the Box" (2011) showing historical video works of the first generation video artists in China, followed by "Breaking Away" (2011) and "Zhang Wei, The Abstract Paintings 1979–2012" (2012), two exhibitions dedicated to the rise of abstract art in China. 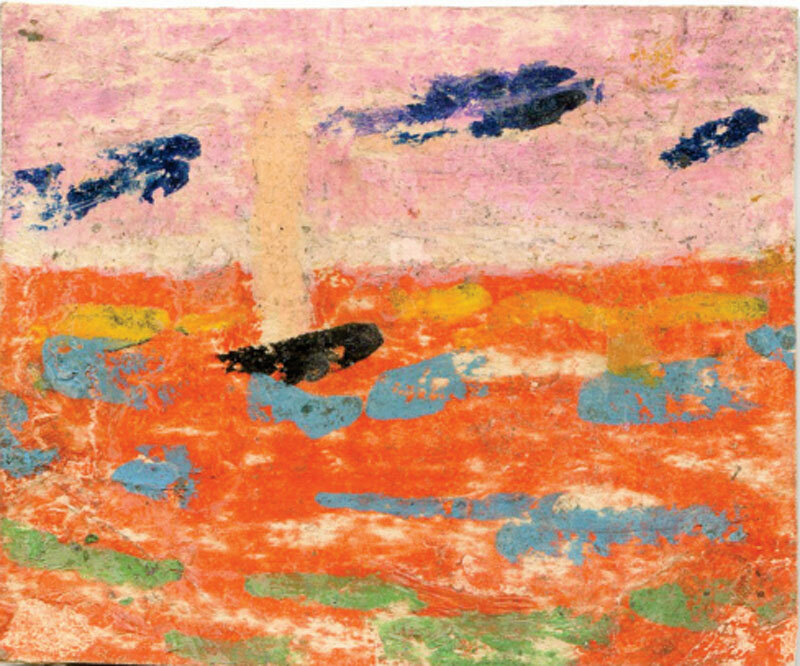 "Made in Prison" and next year's first exhibition "Art before 1985" both focus on the roots of Chinese contemporary art before the so-called "New Wave". 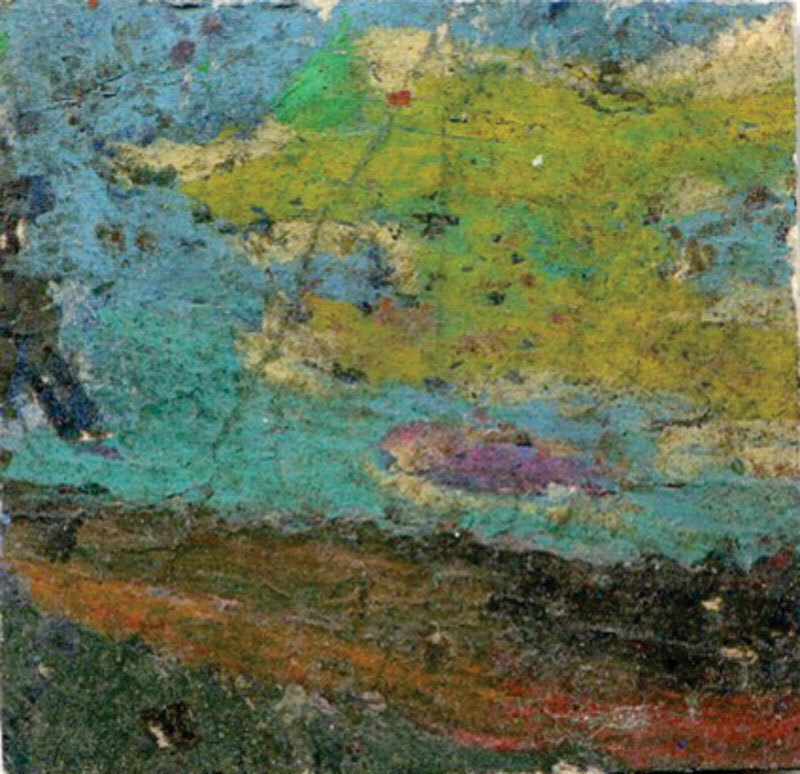 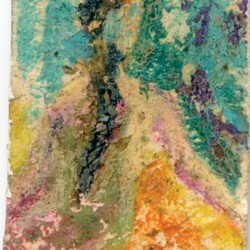 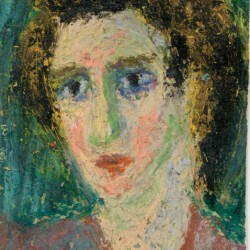 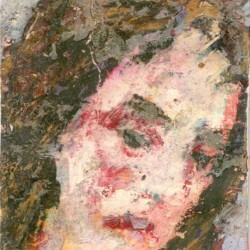 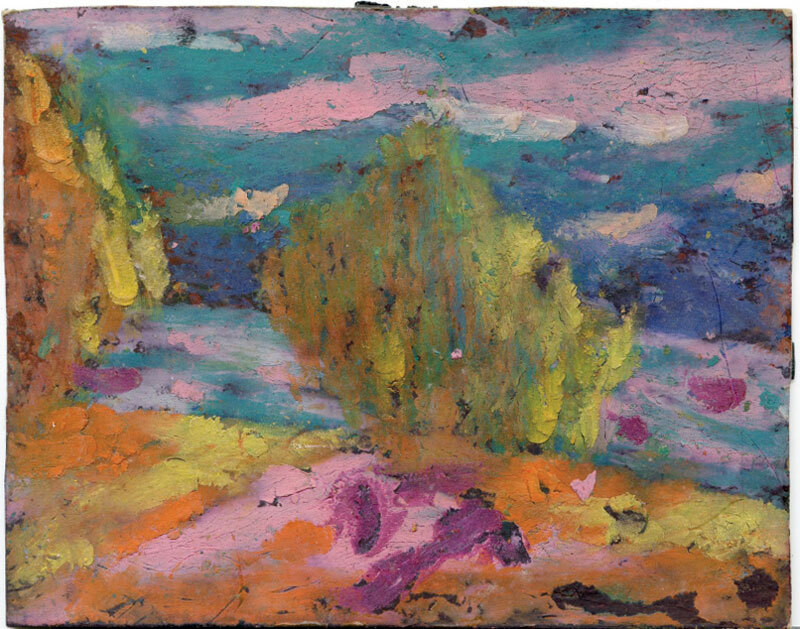 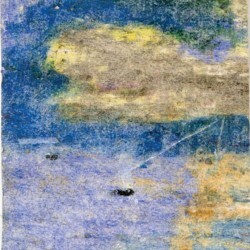 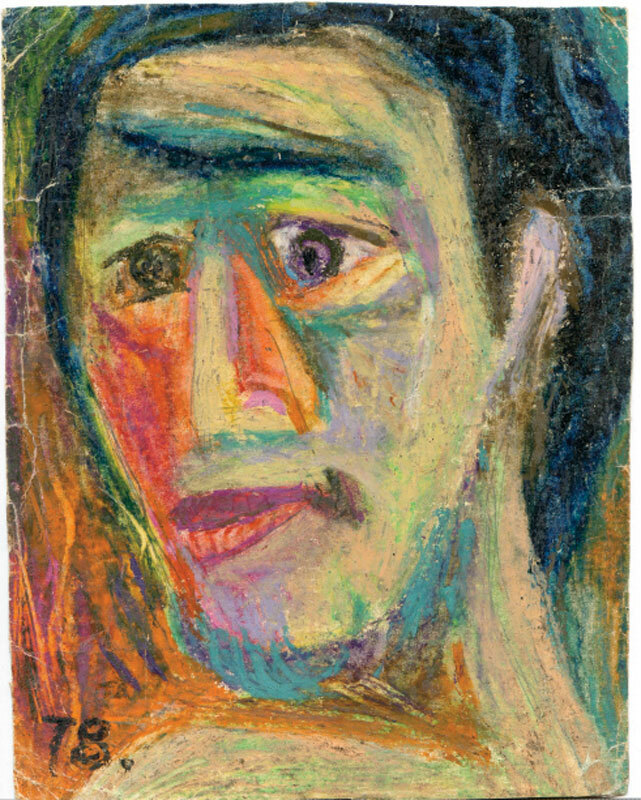 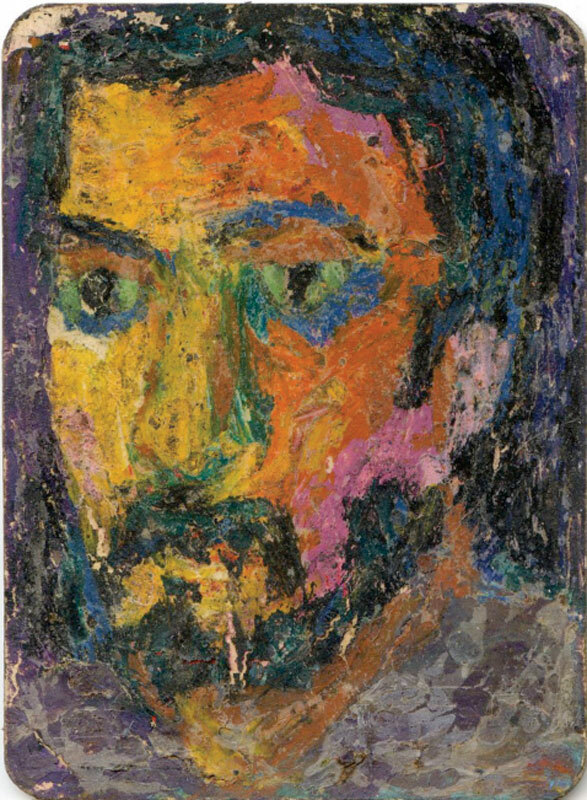 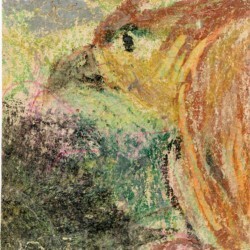 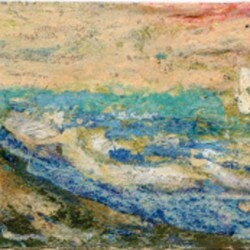 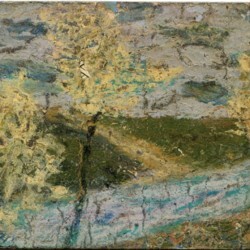 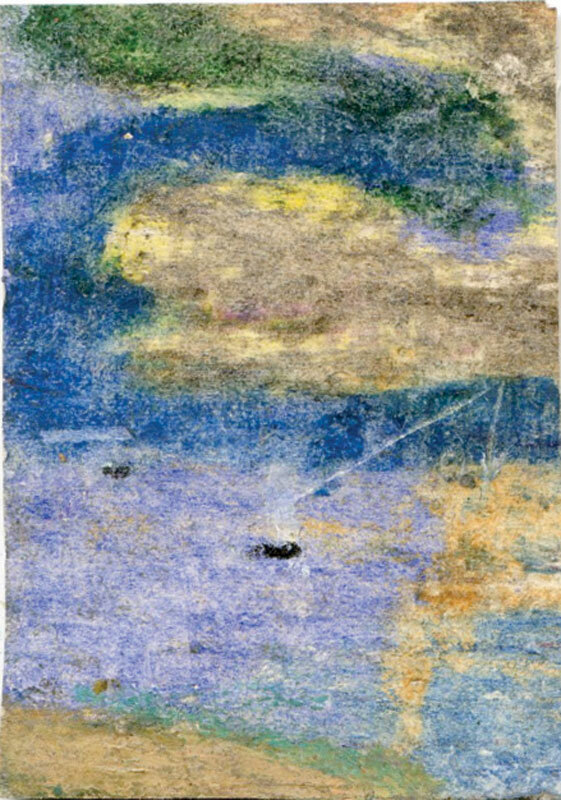 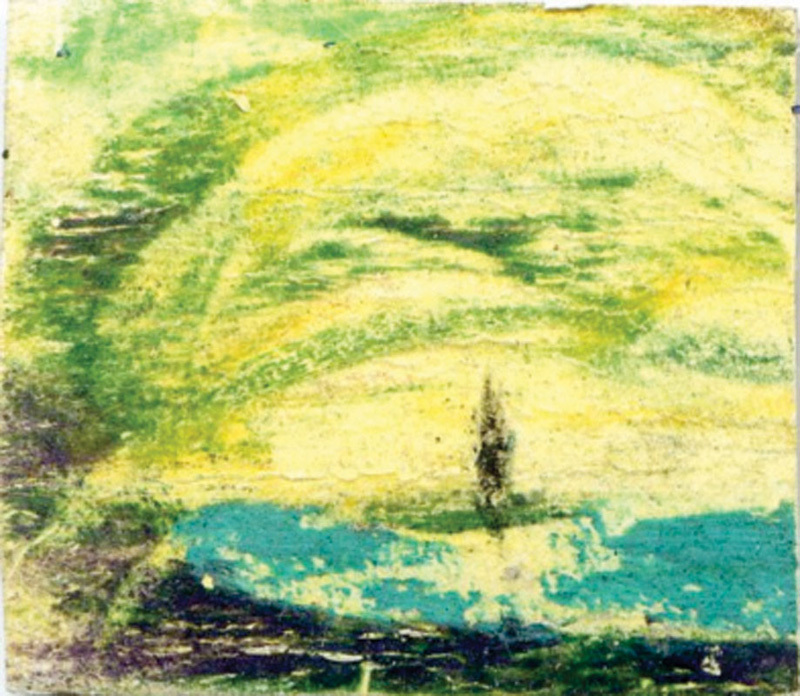 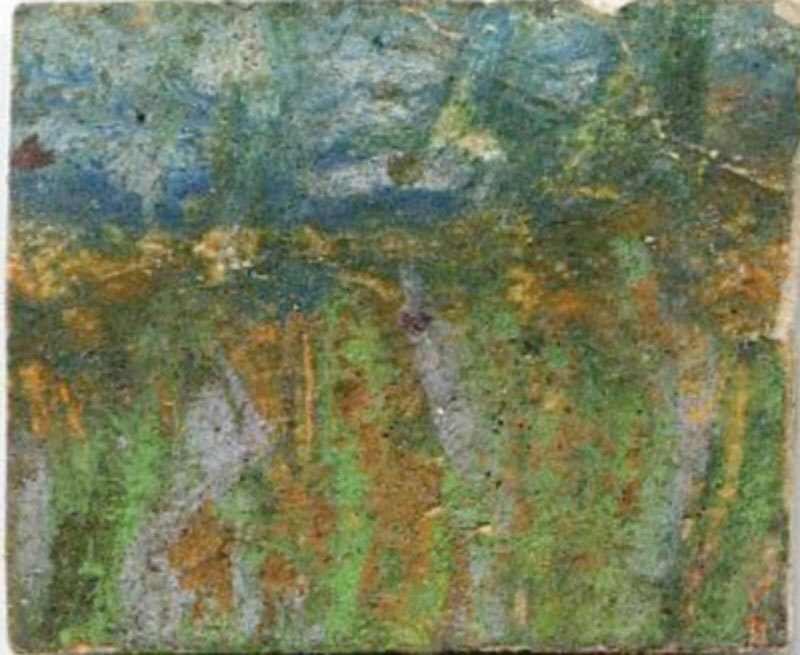 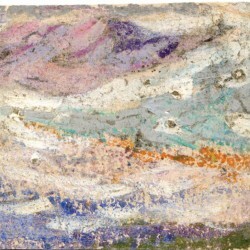 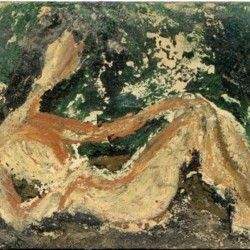 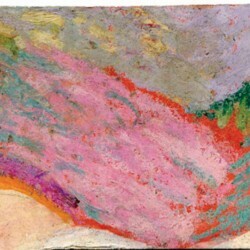 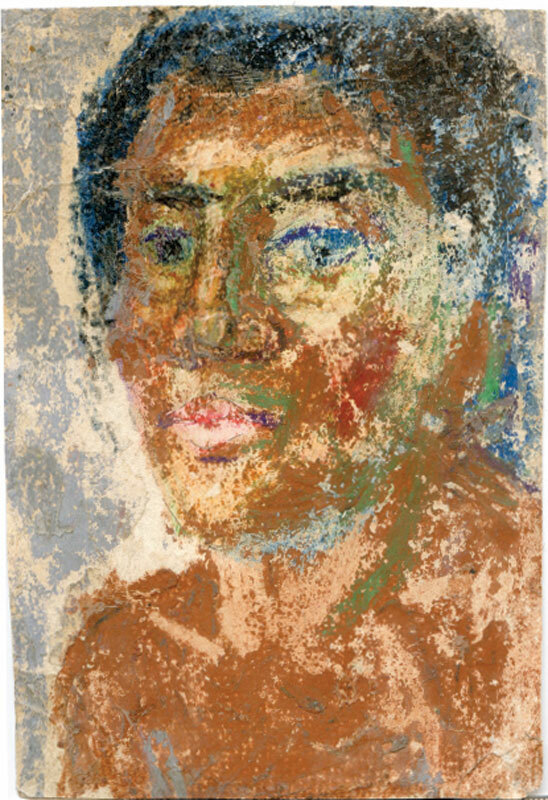 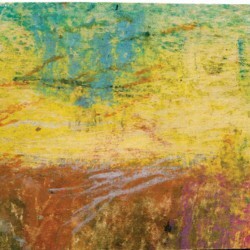 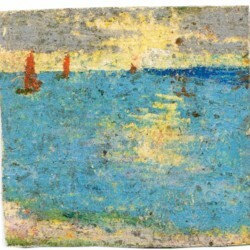 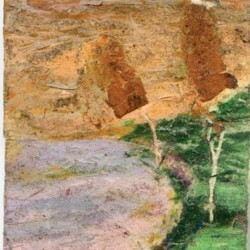 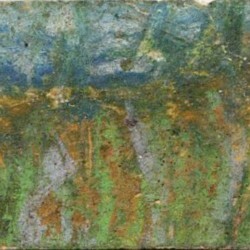 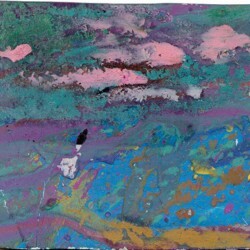 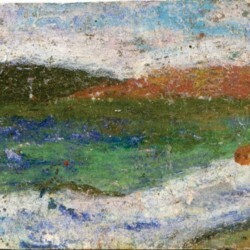 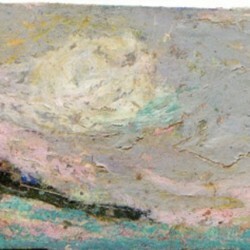 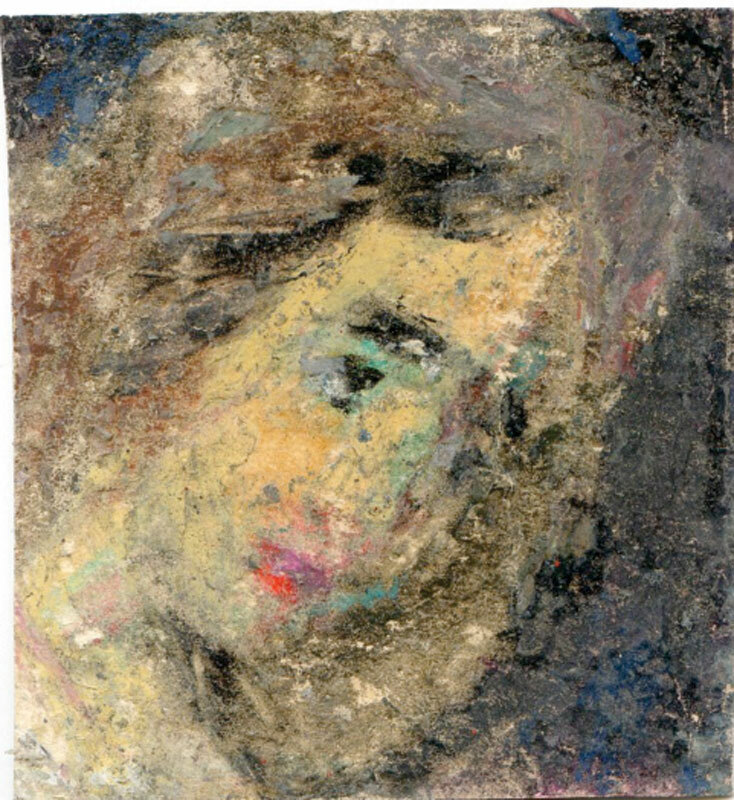 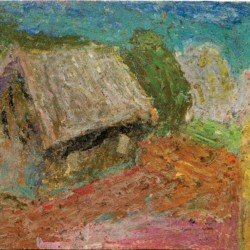 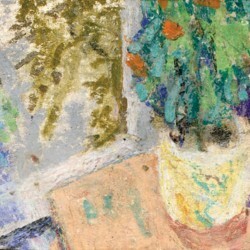 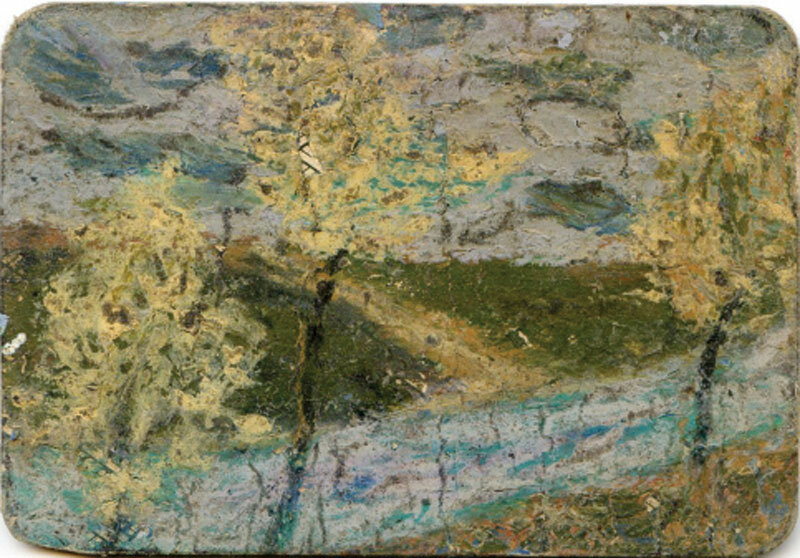 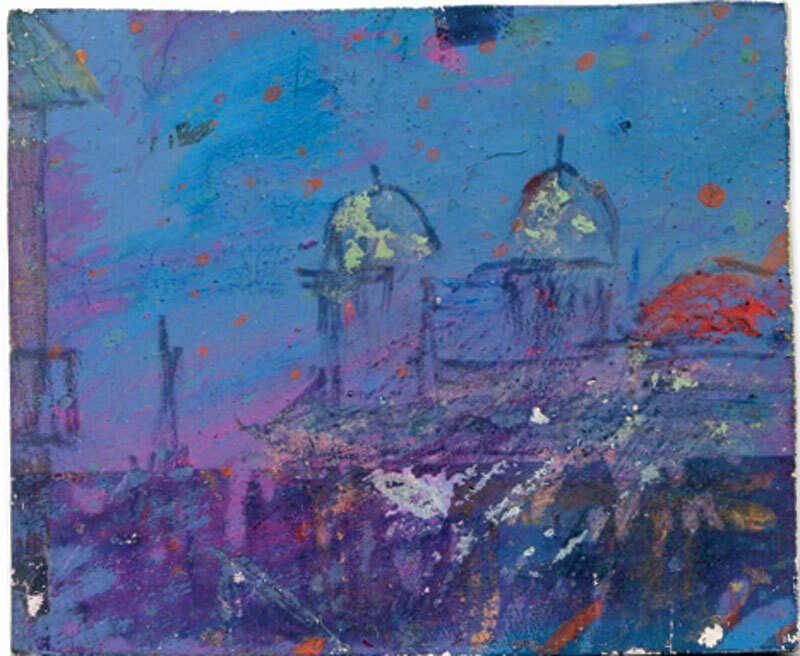 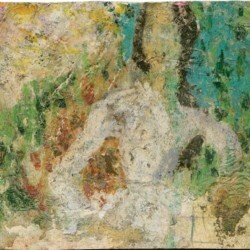 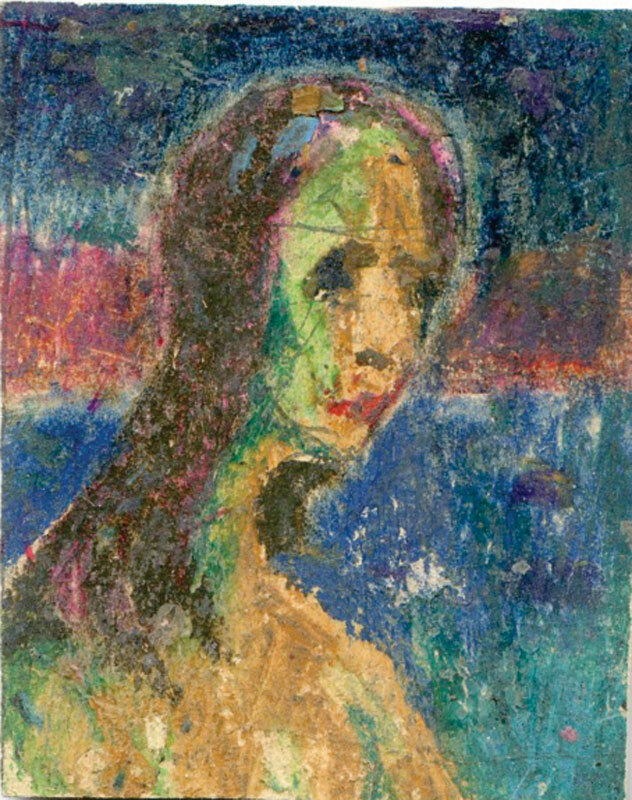 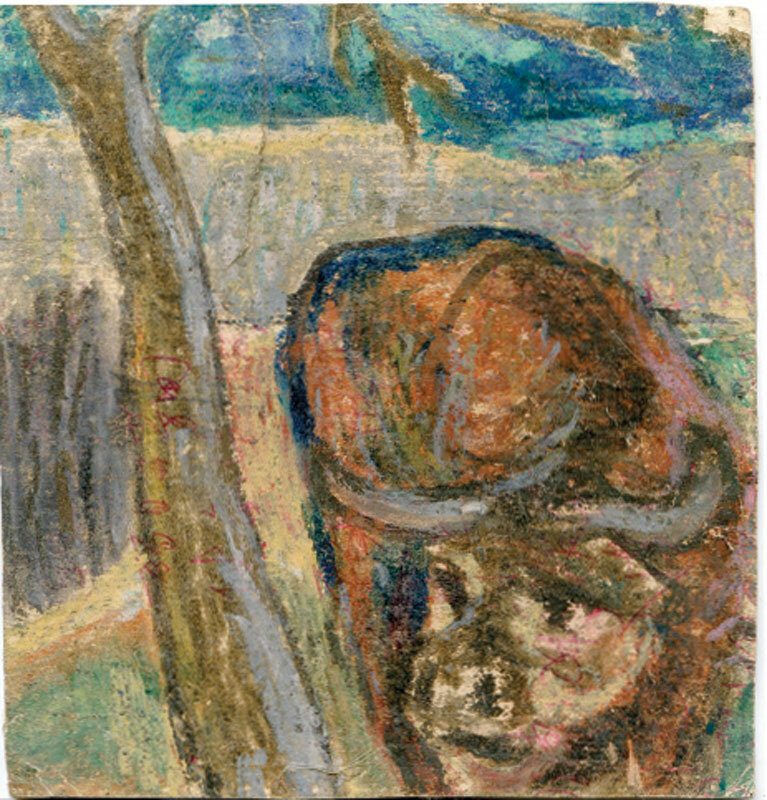 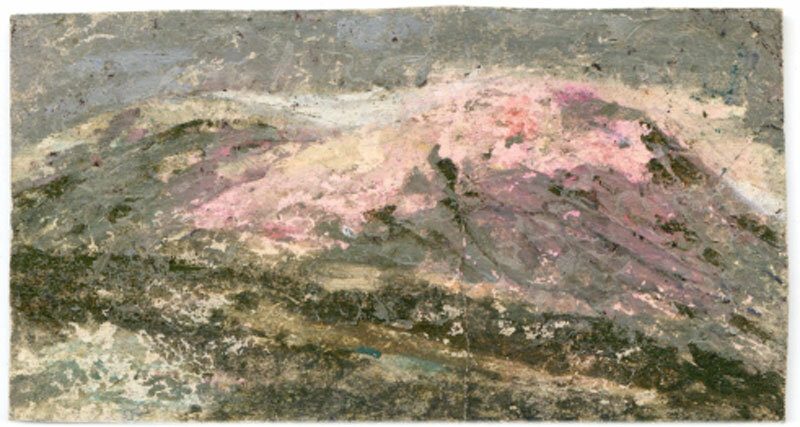 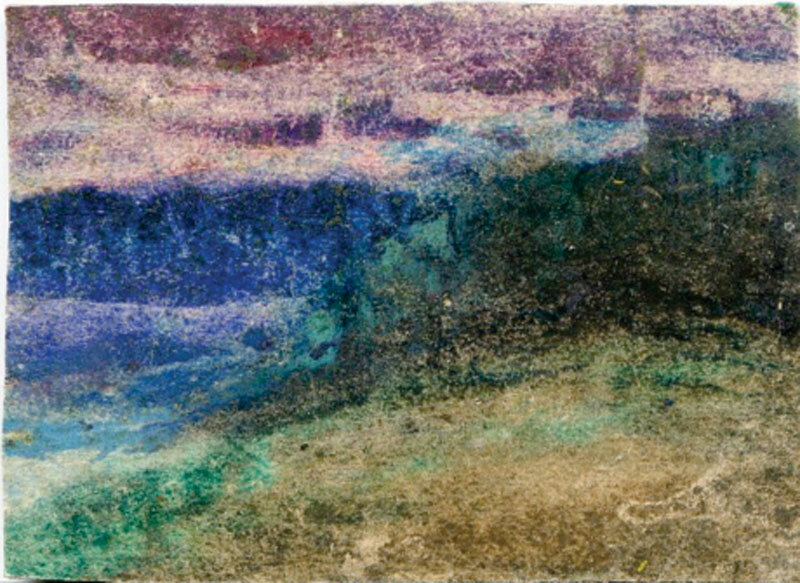 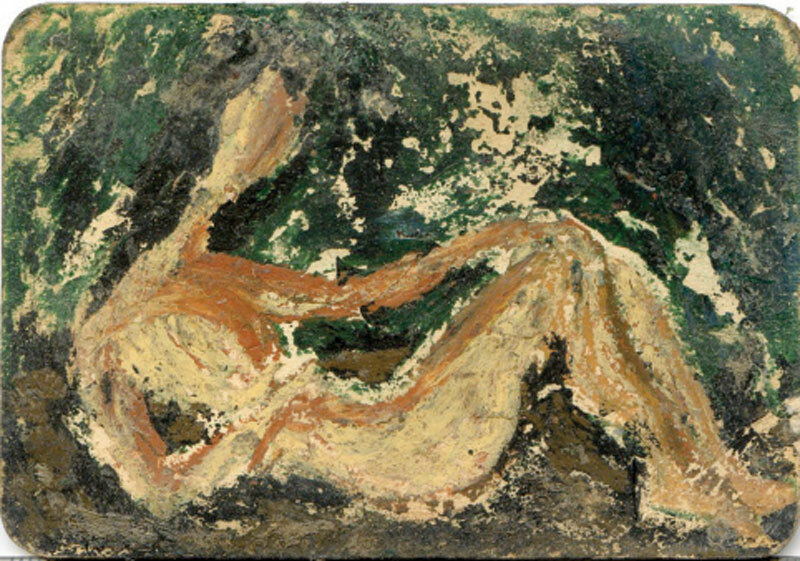 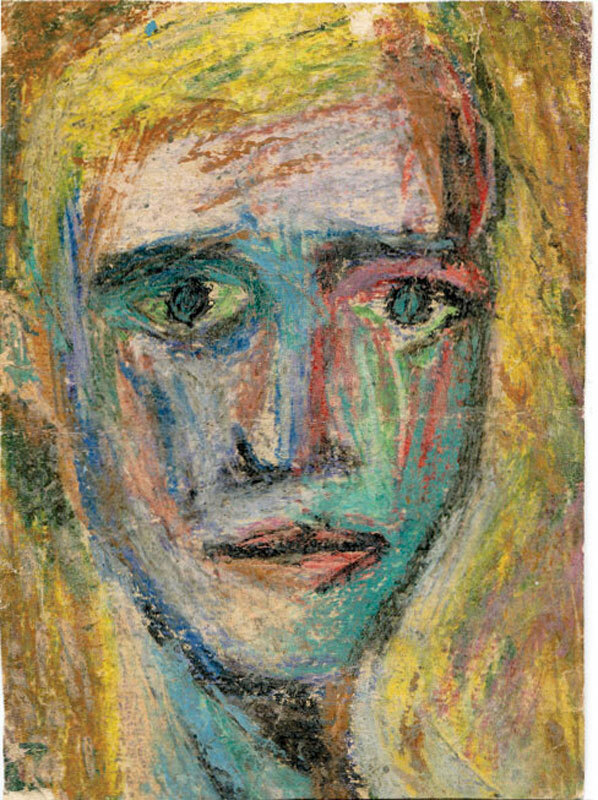 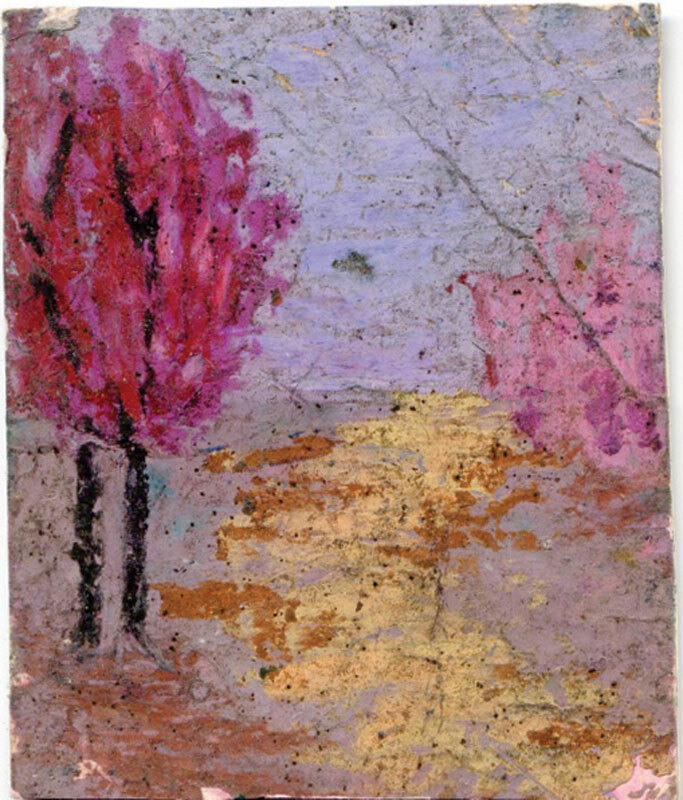 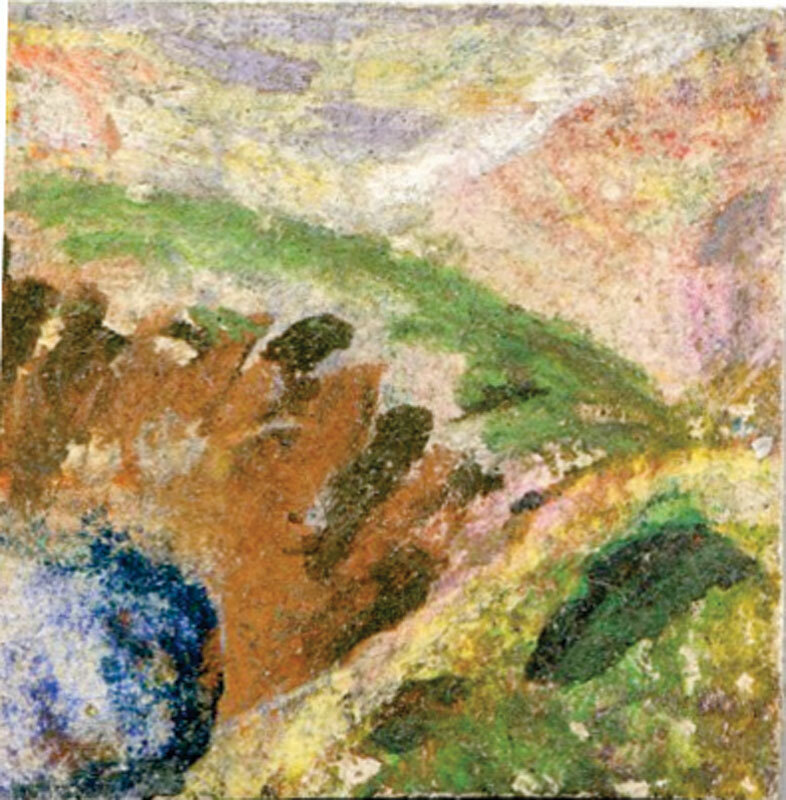 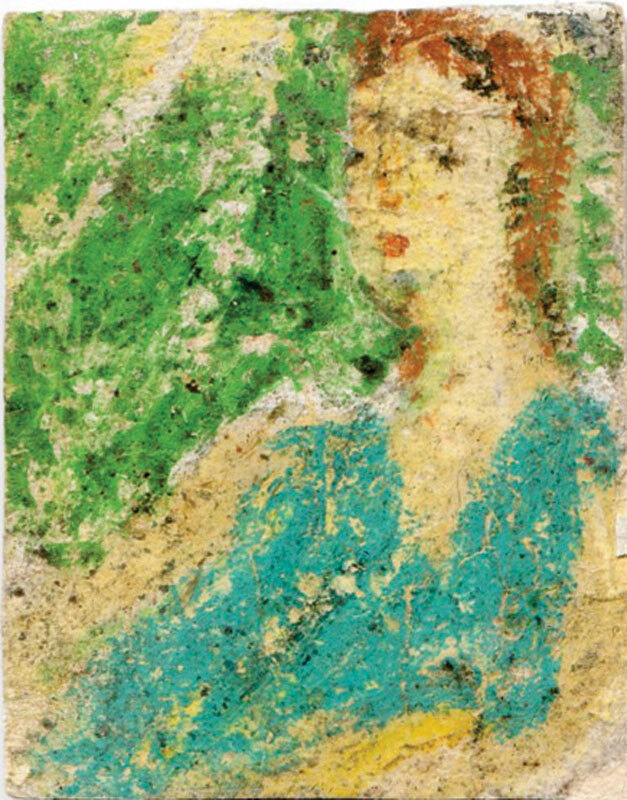 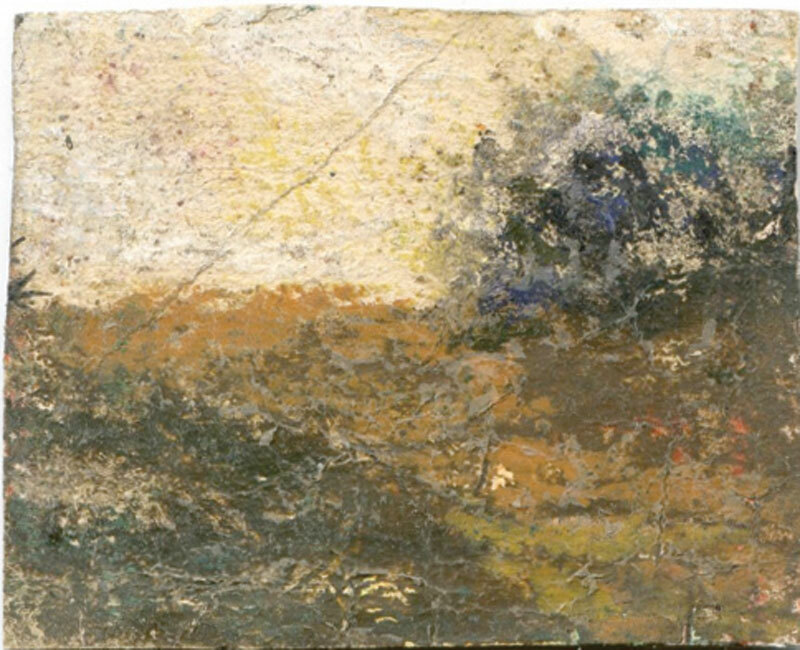 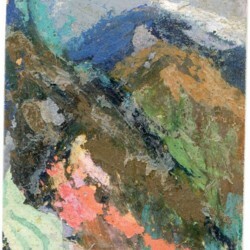 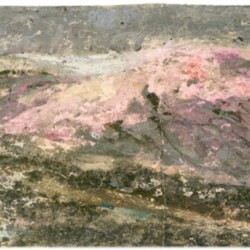 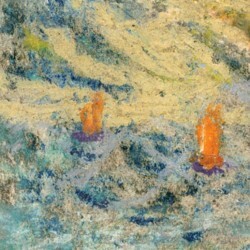 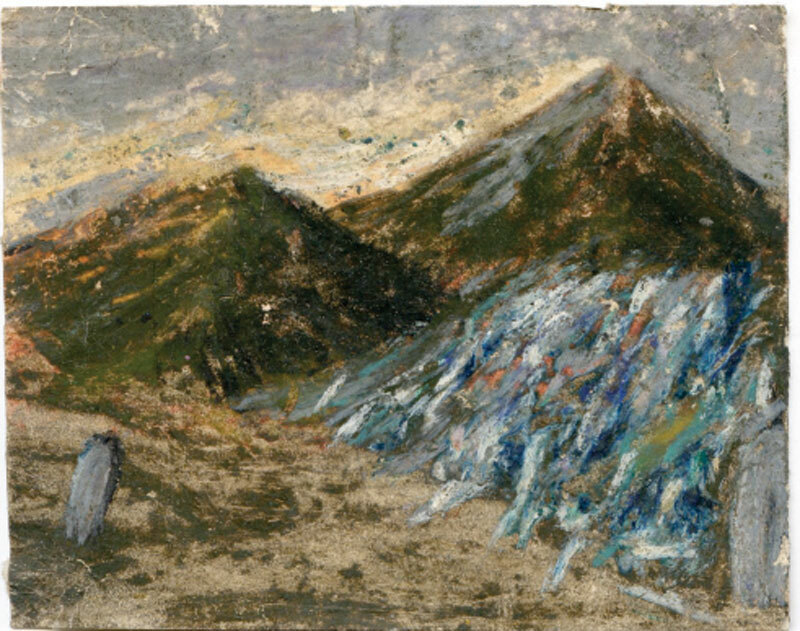 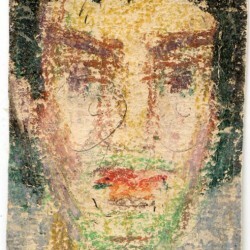 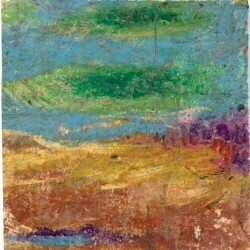 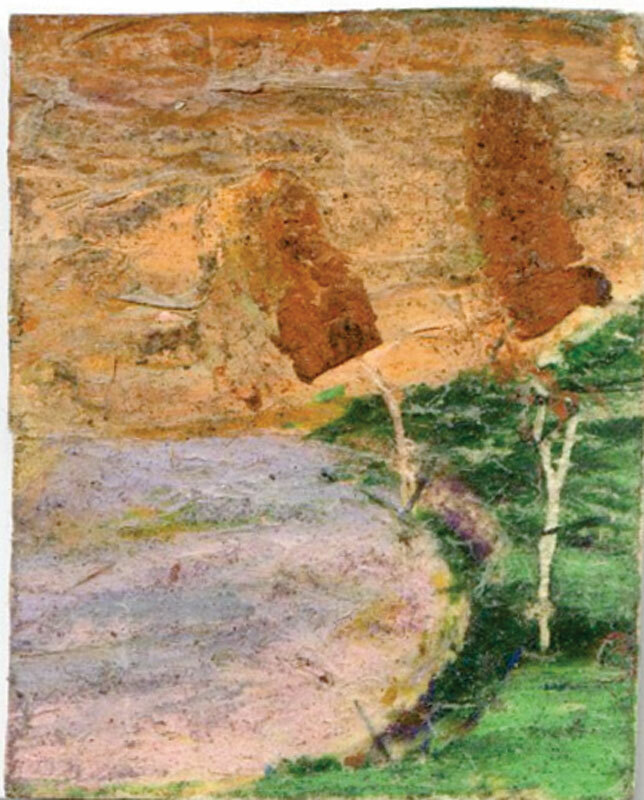 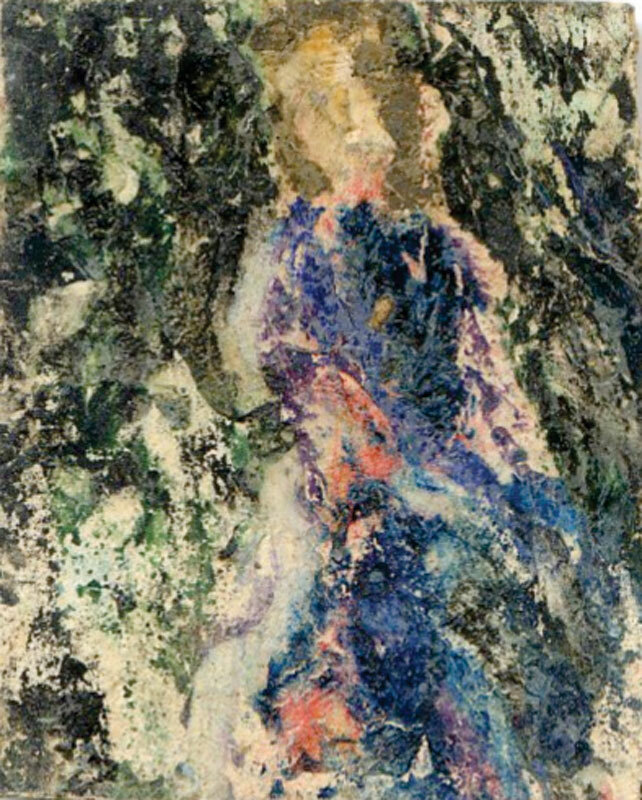 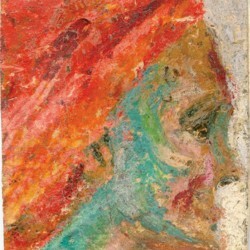 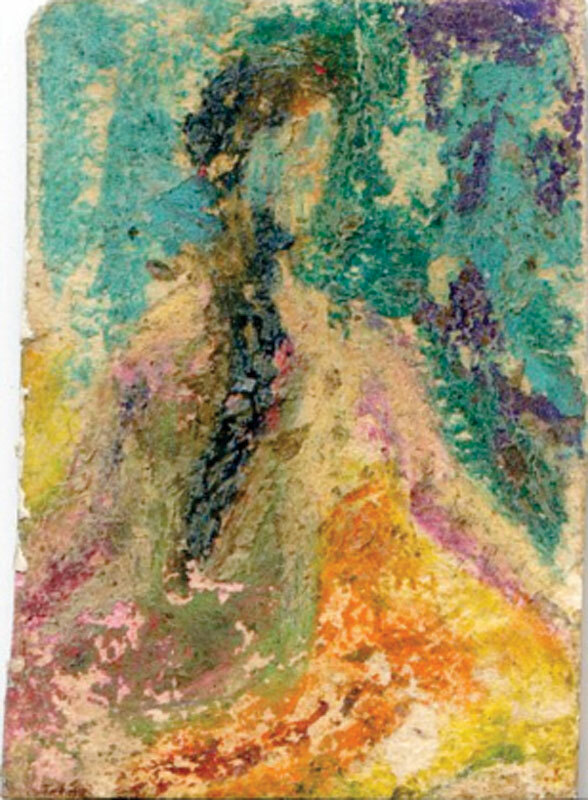 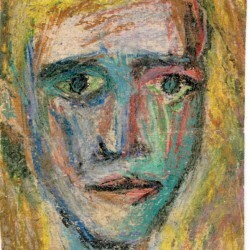 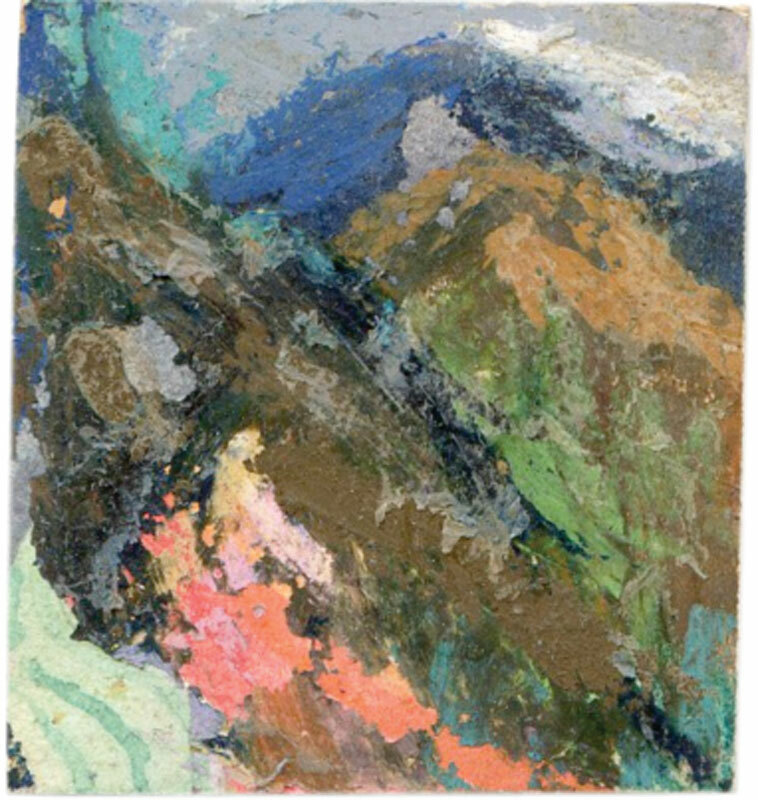 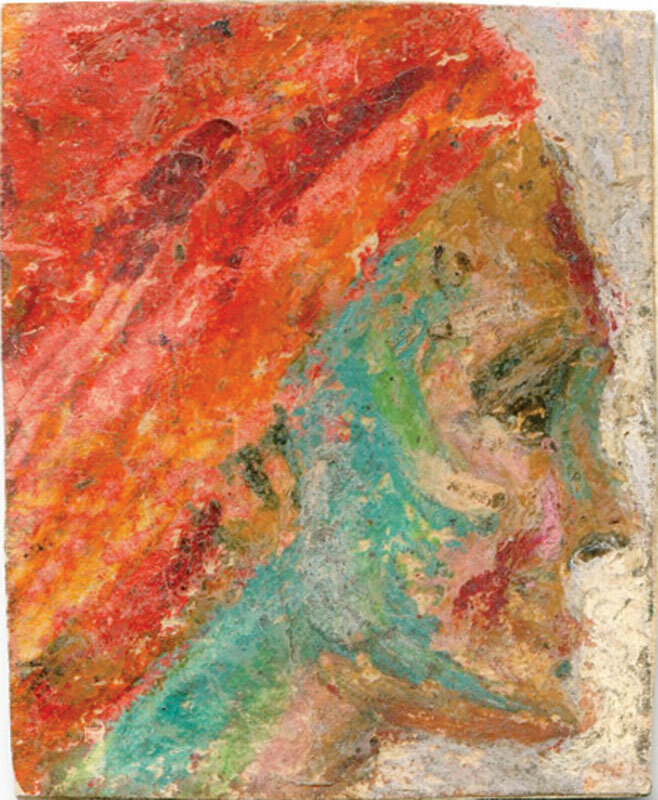 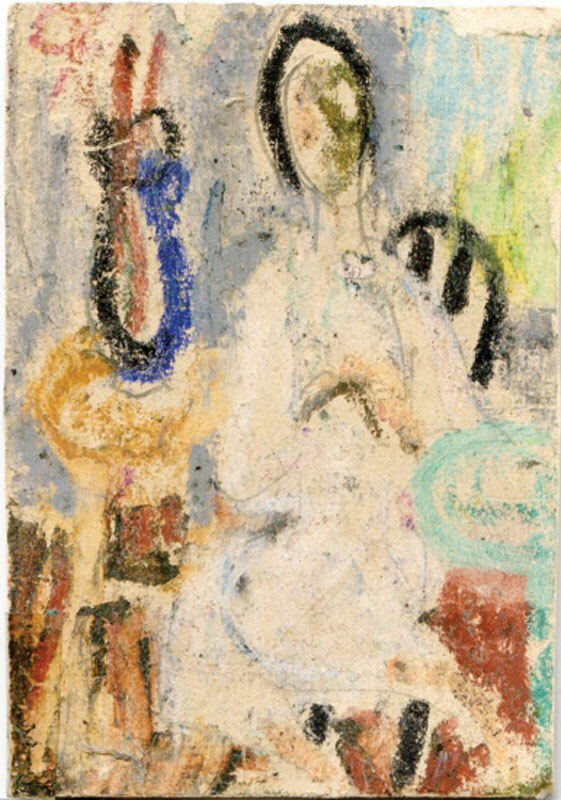 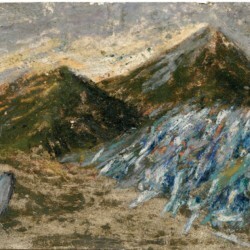 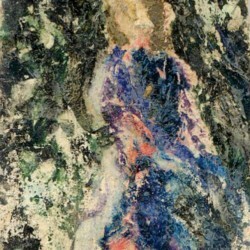 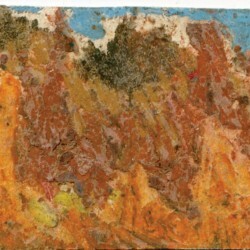 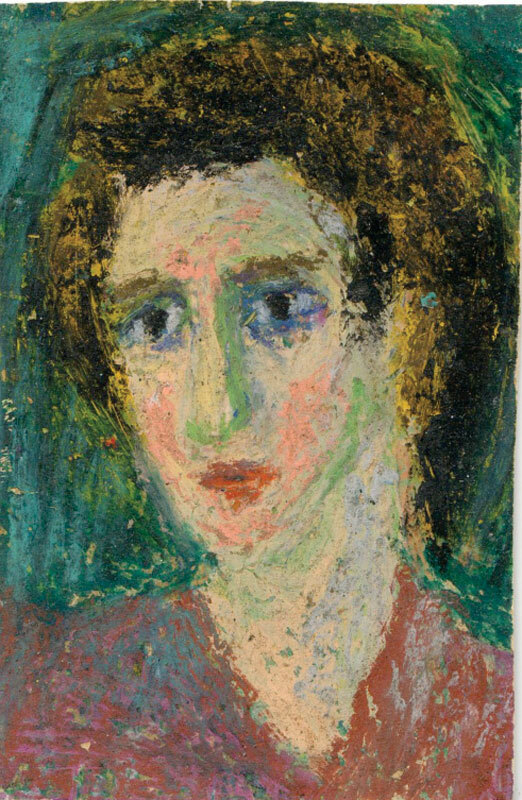 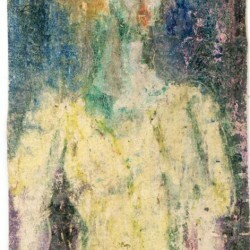 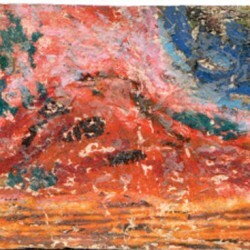 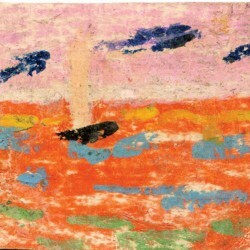 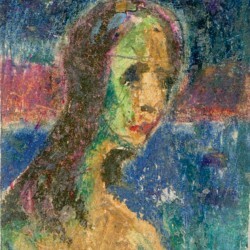 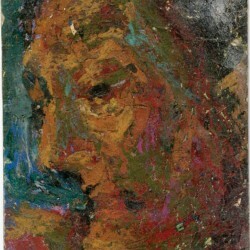 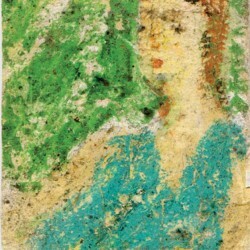 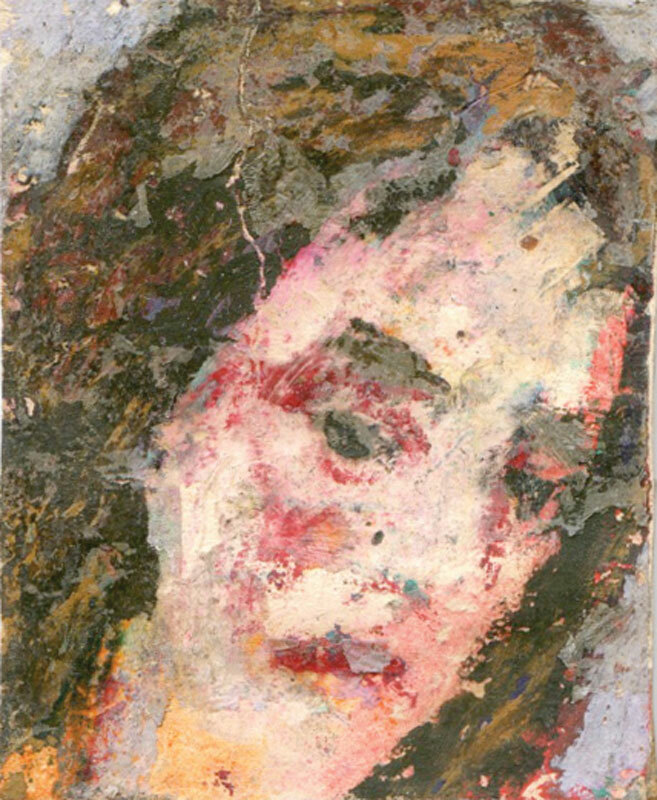 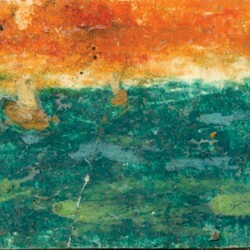 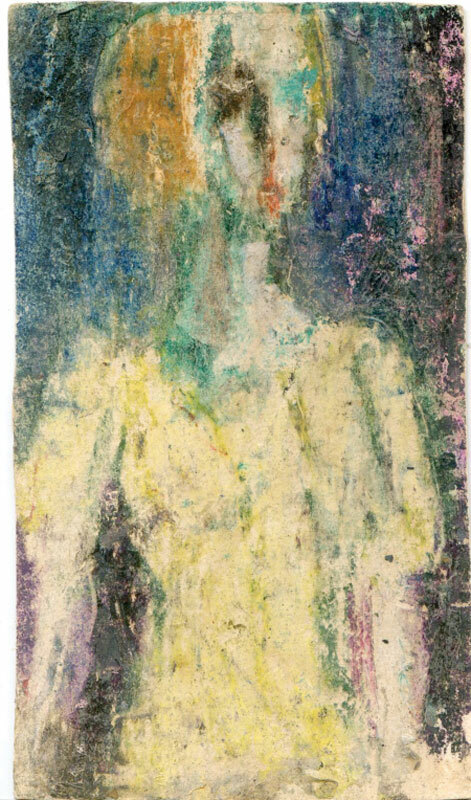 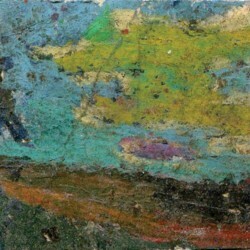 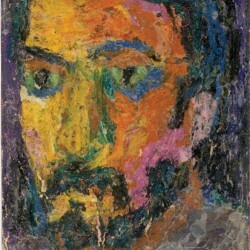 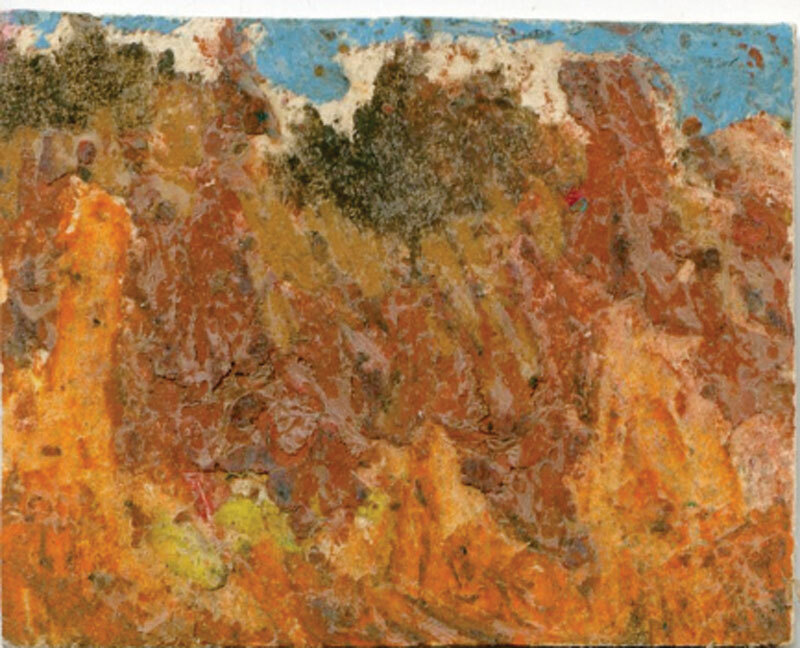 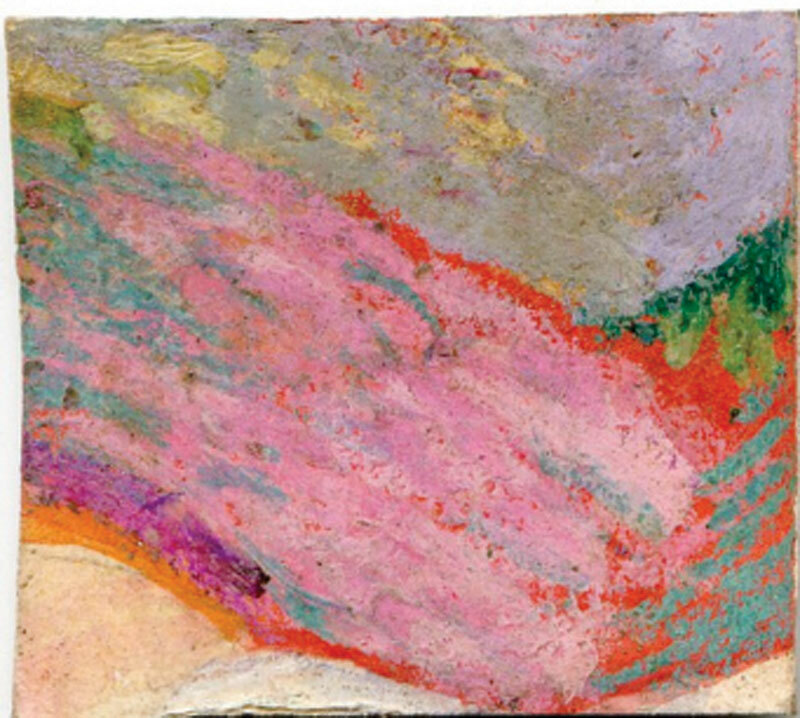 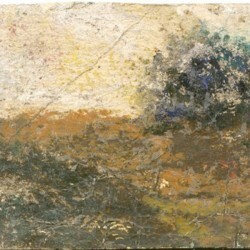 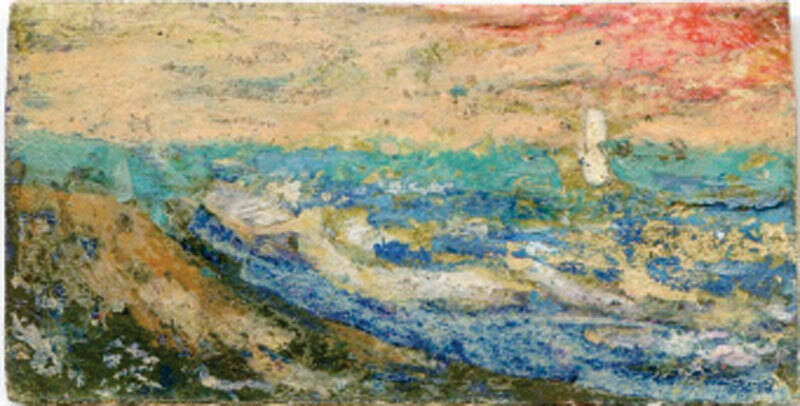 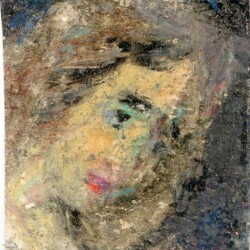 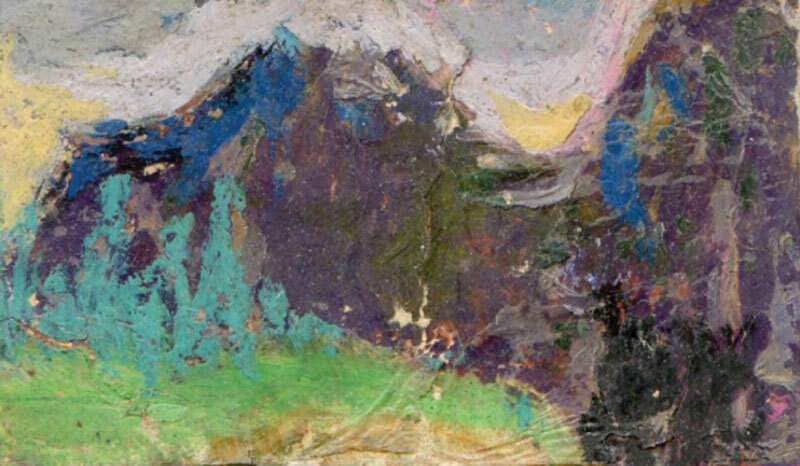 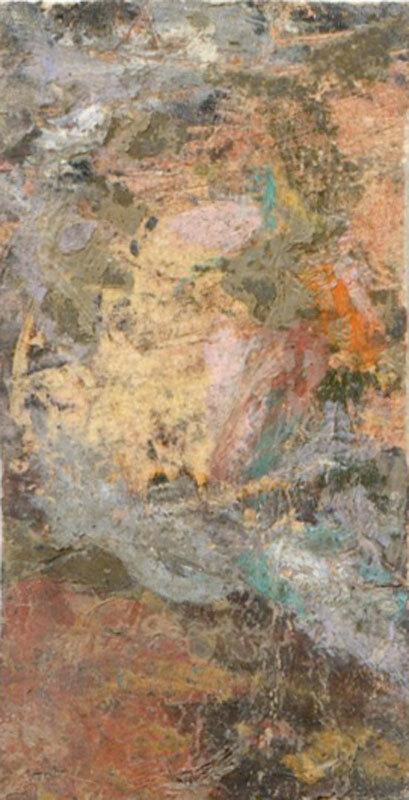 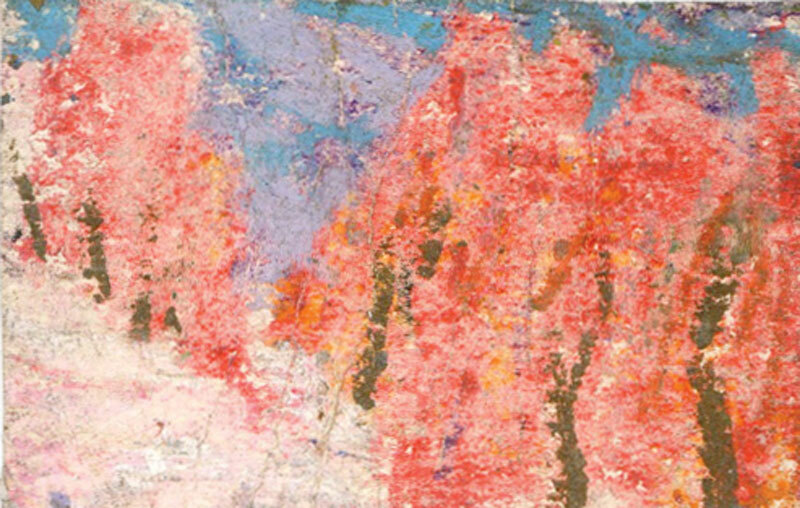 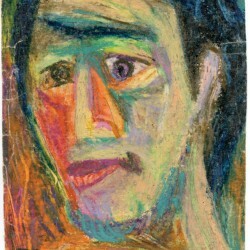 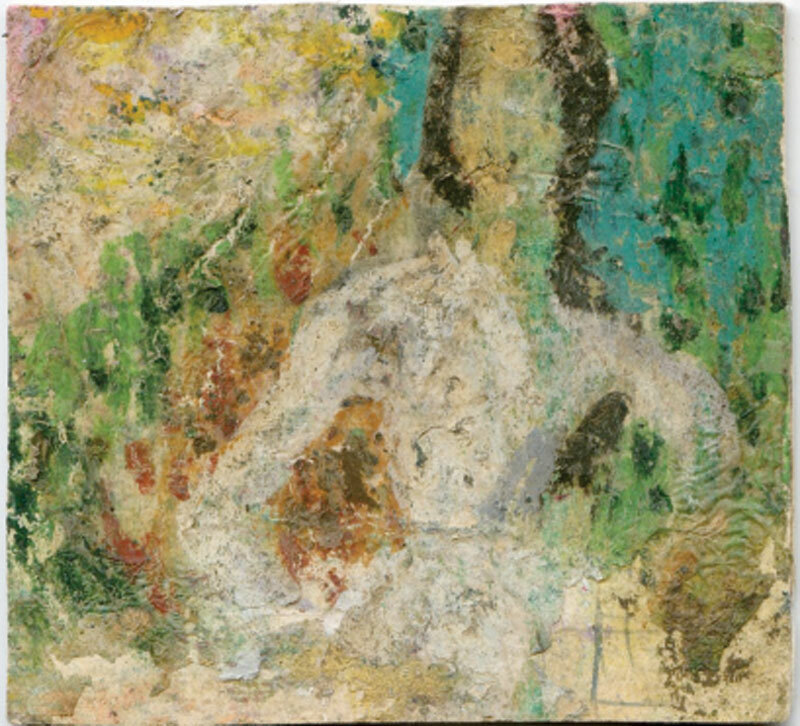 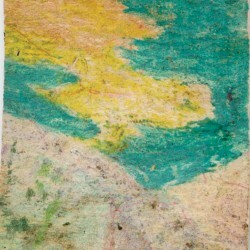 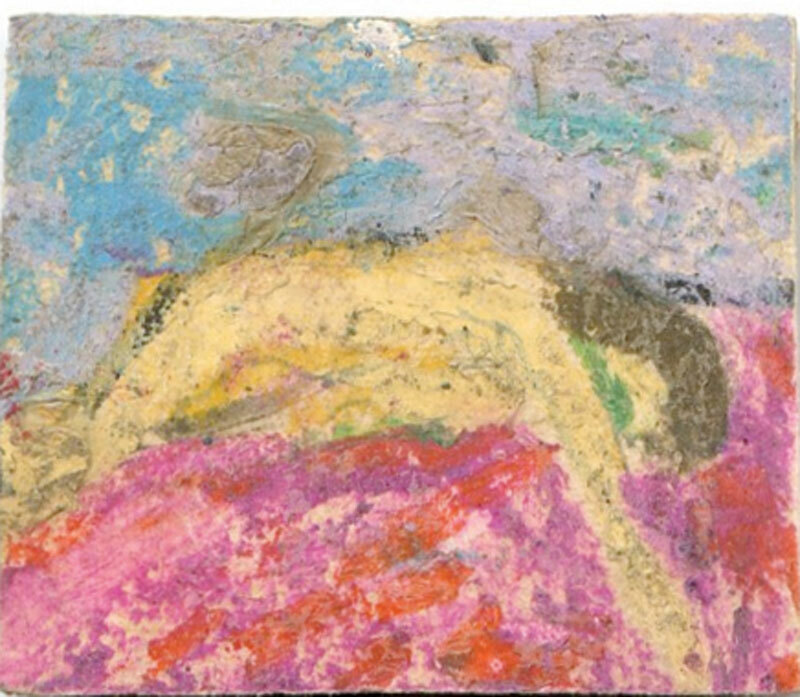 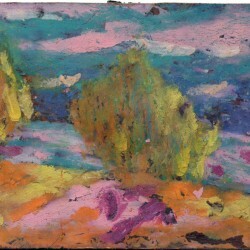 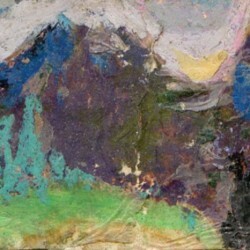 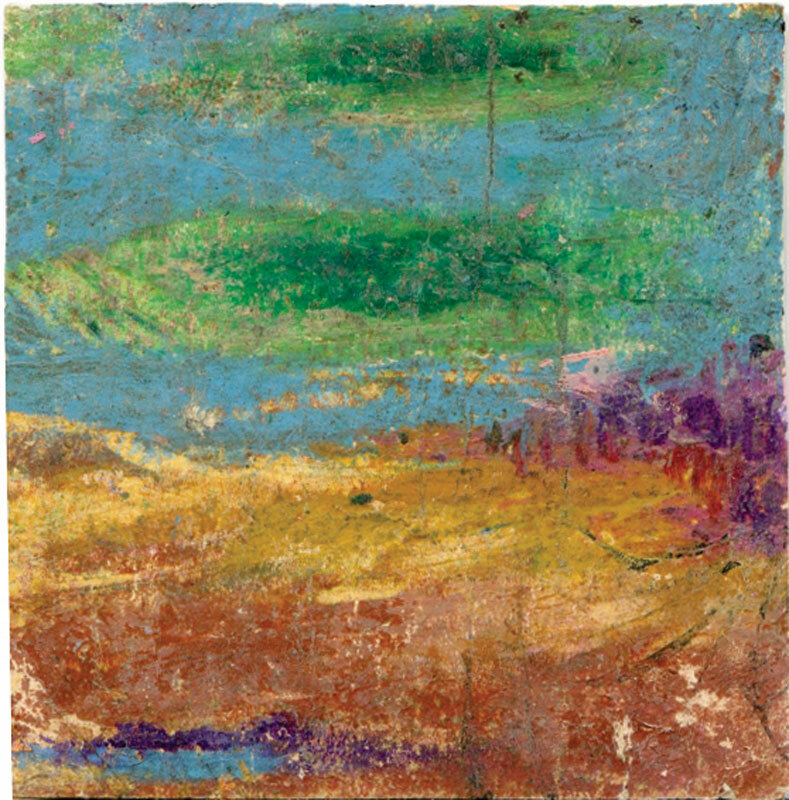 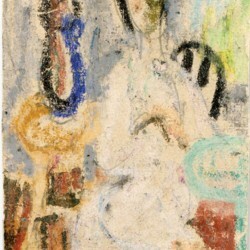 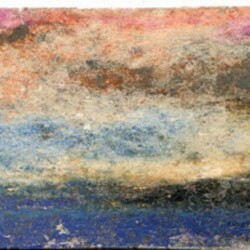 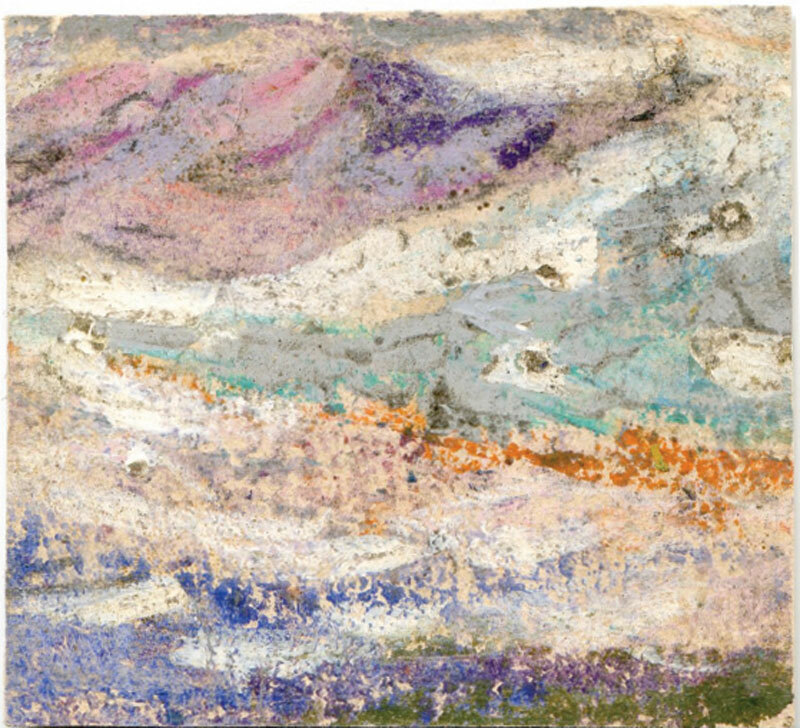 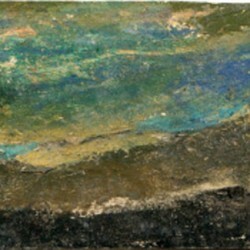 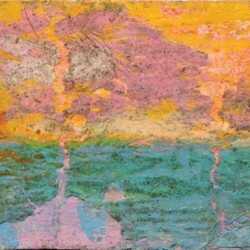 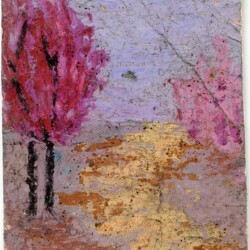 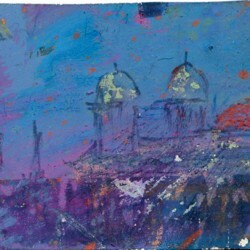 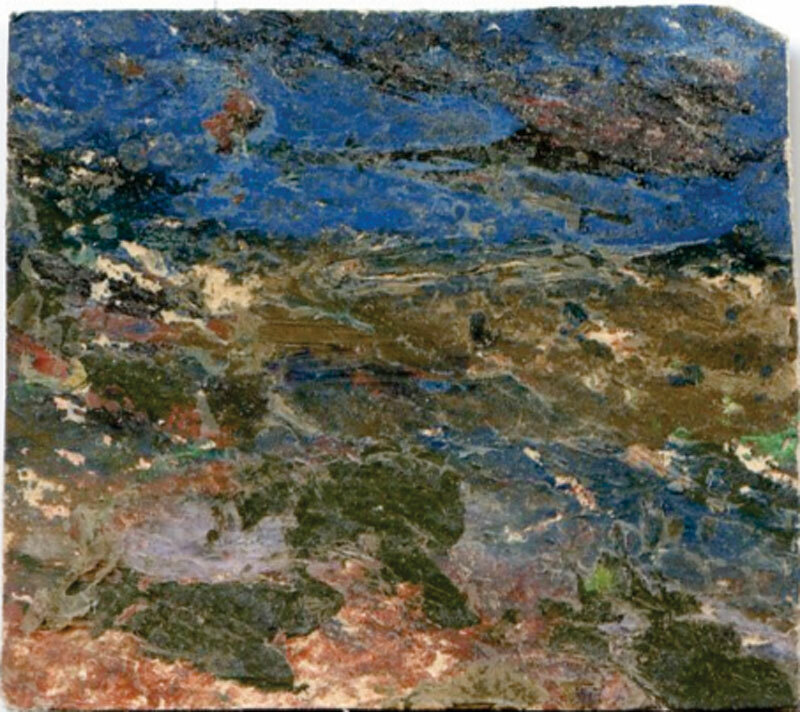 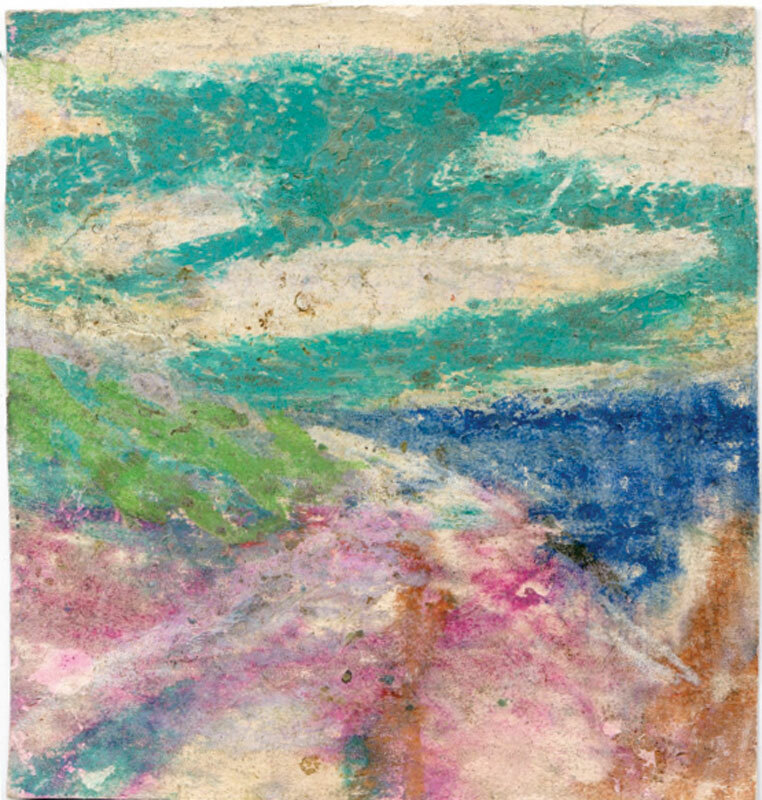 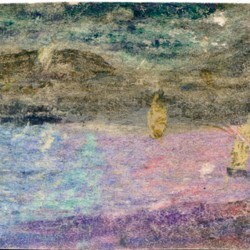 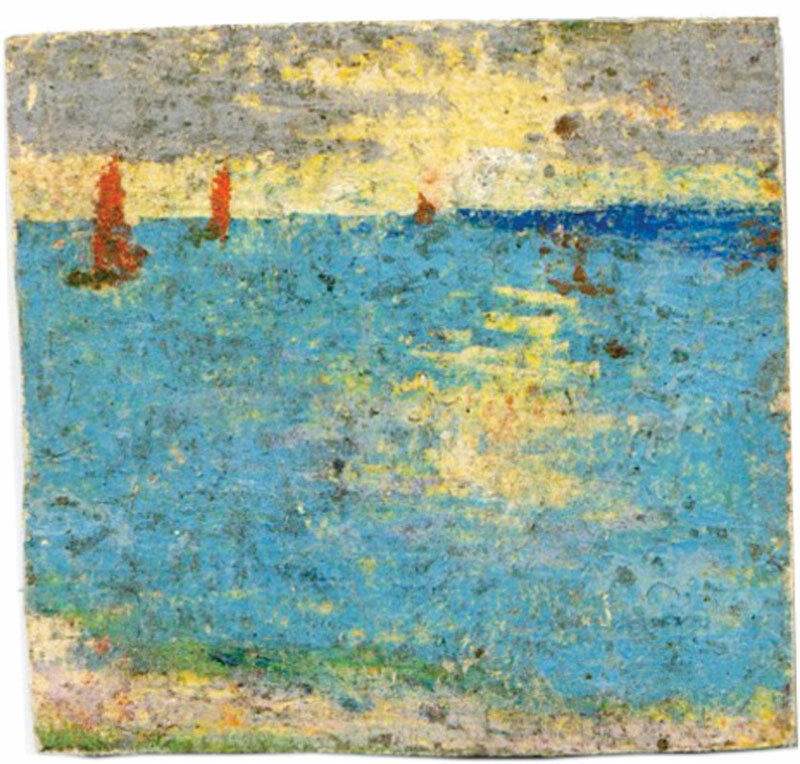 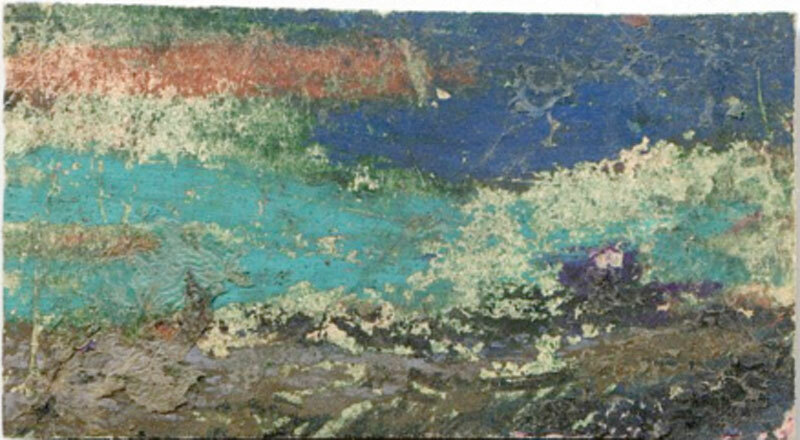 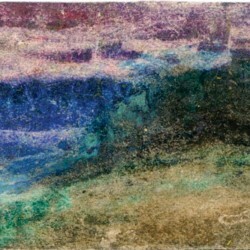 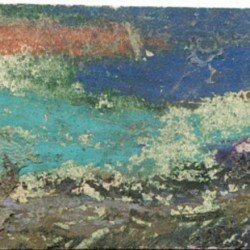 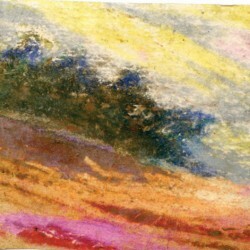 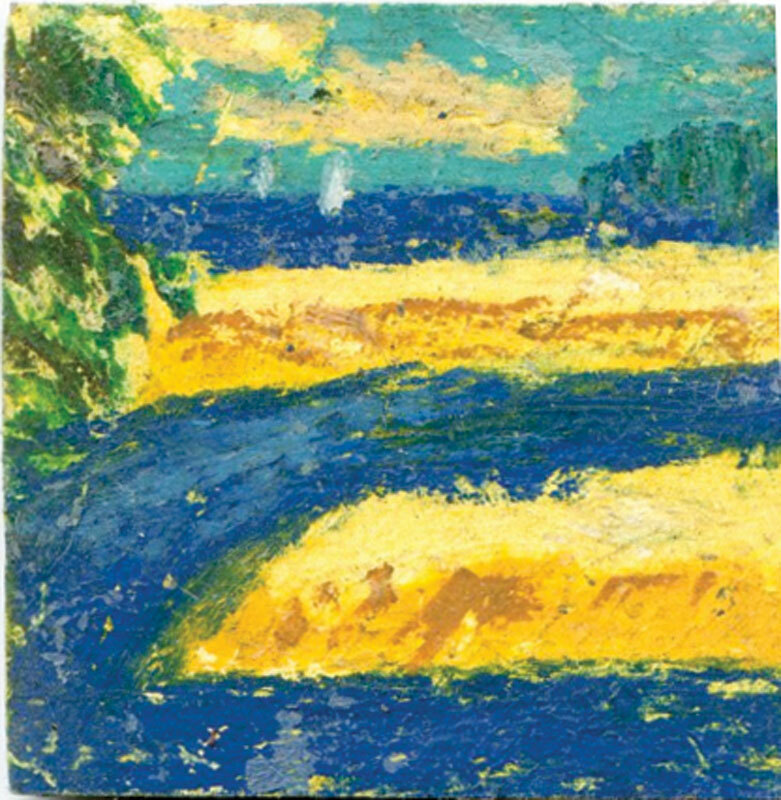 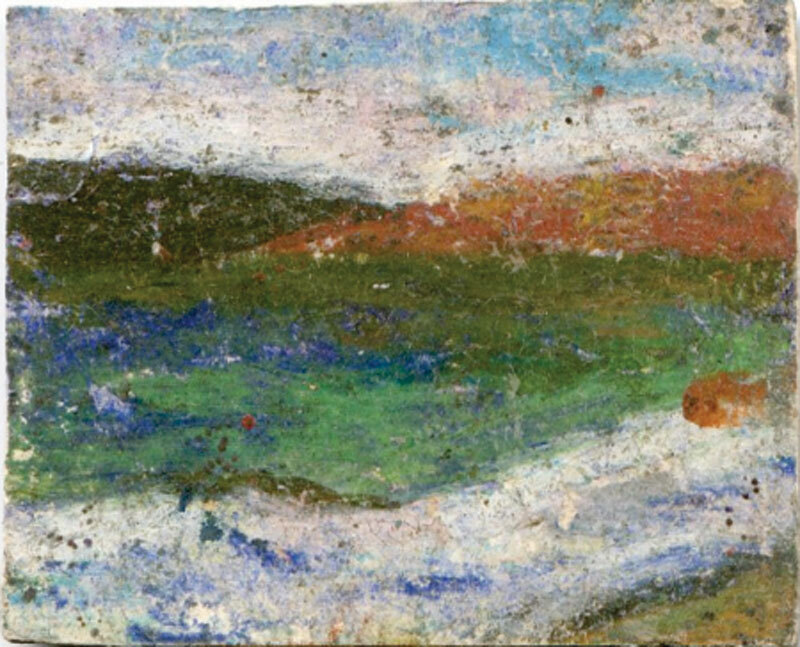 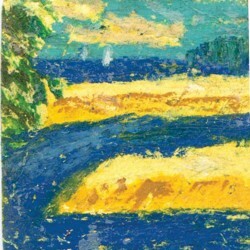 The tiny "oil pastel" works of Kang Wanhua (Beijing 1944)--most of them smaller than a playing card--take a unique position in the art of the seventies: They were made during his imprisonment in the midst of Cultural Revolution, when there was strict control over all productions of art. 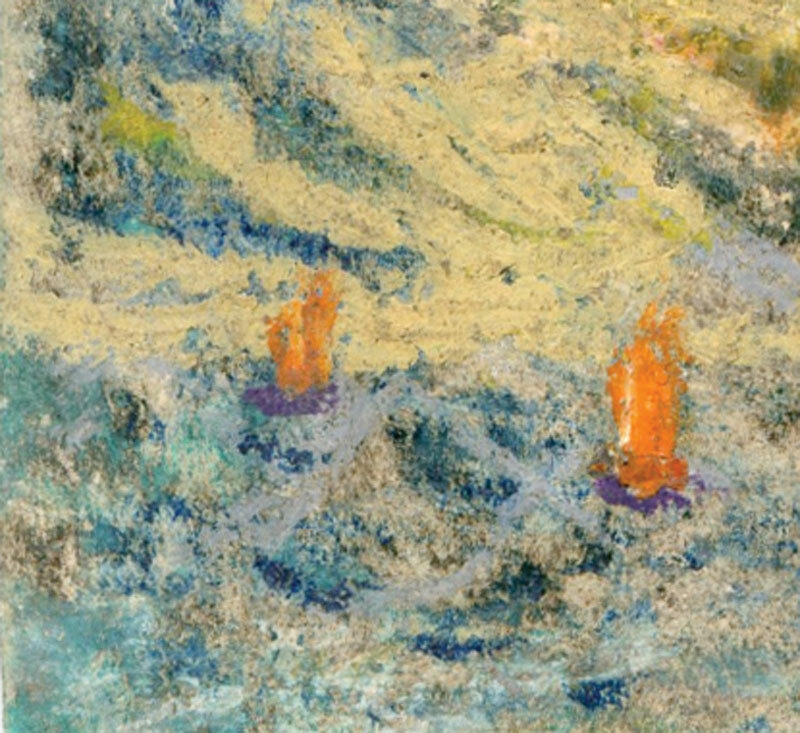 That these works were made in prison and, even more exceptional, that they found their way out, make these works of extraordinary interest to Chinese art history. 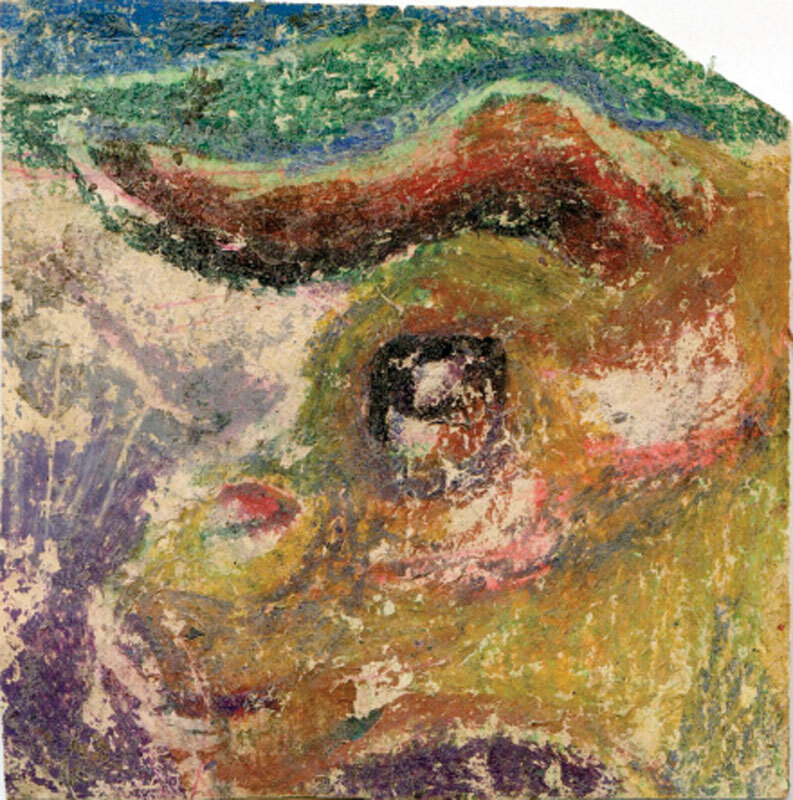 These survived paintings, which documented the artists' imagination under restricted living conditions, are rare documents of Chinese cultural heritage. 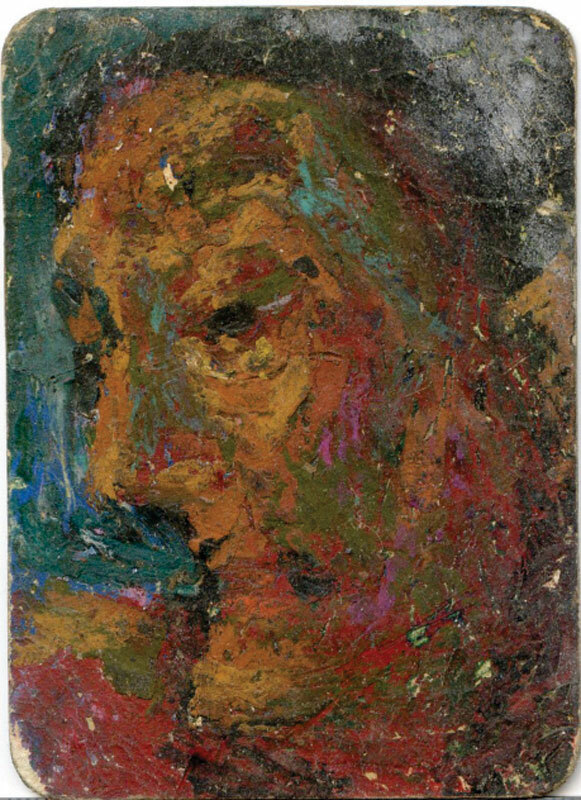 Kang was convicted and sent to Cha Dian Labor Reform Farm in September 1975 for his literary and vocally expressed critiques on Mao. 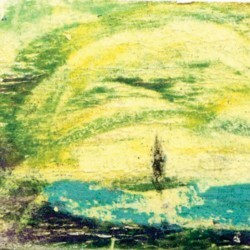 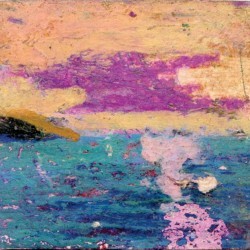 During his years in prison, the young artist took any chance he had to make drawings when he was not observed by the guards. 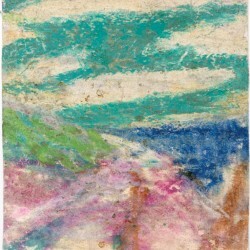 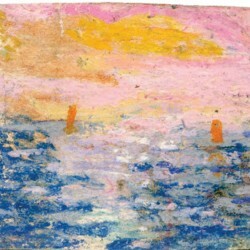 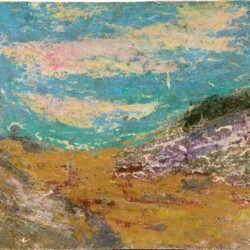 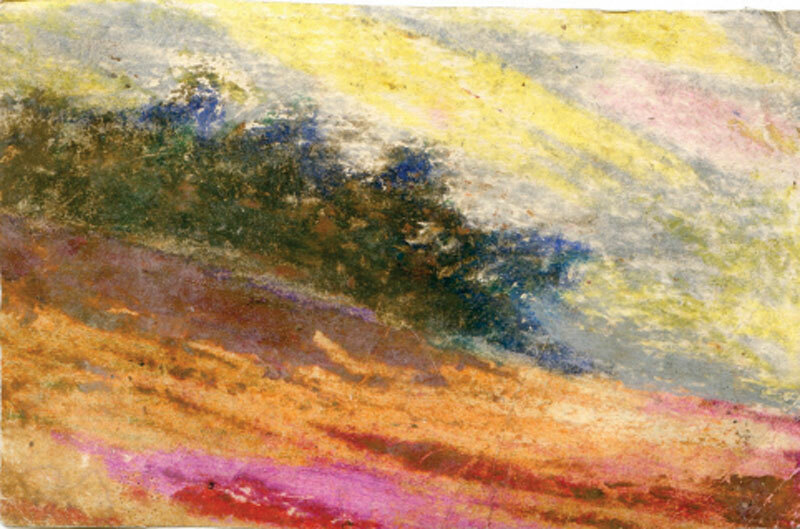 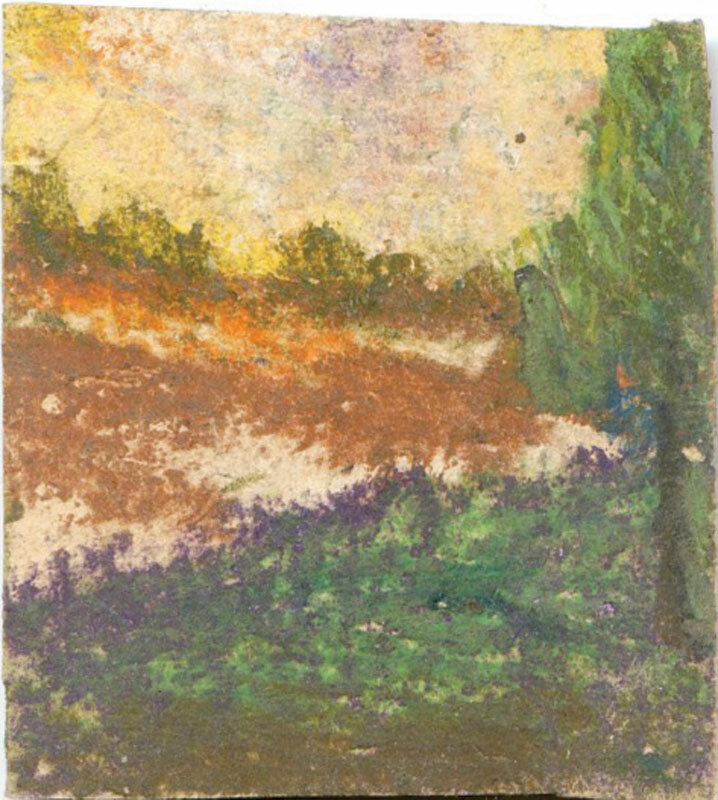 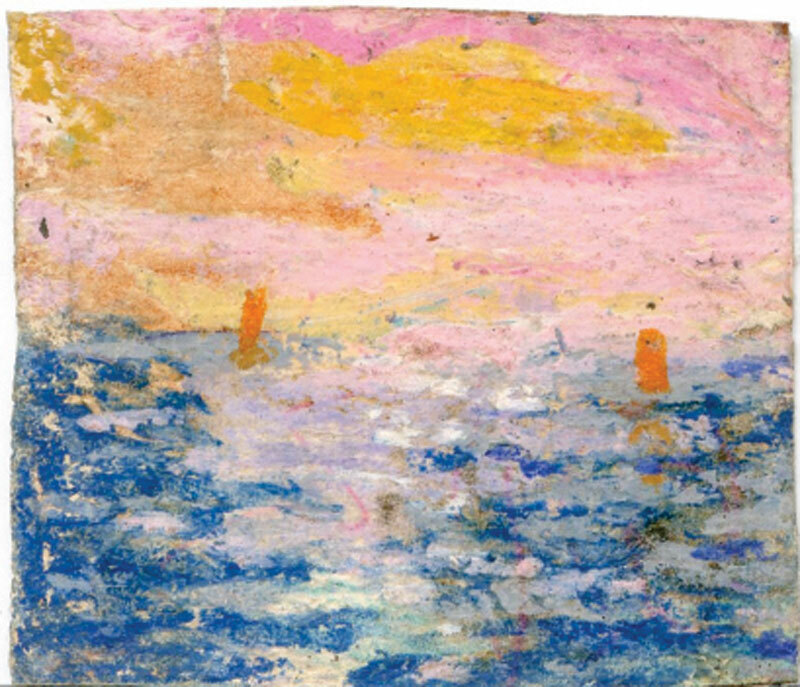 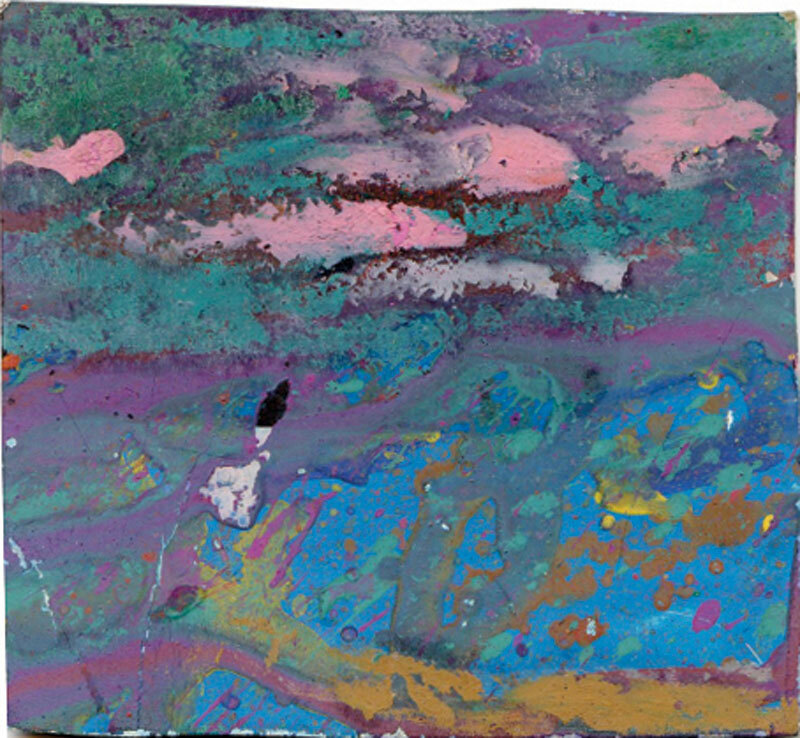 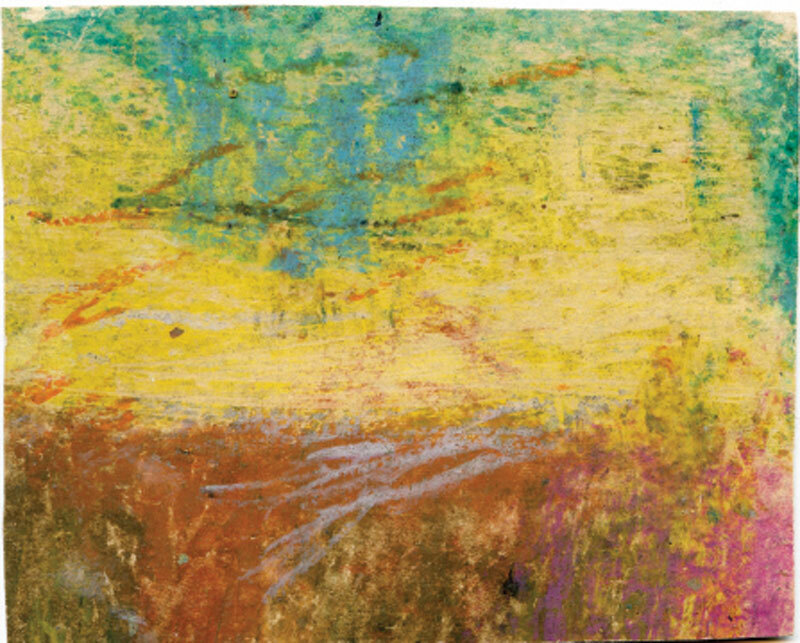 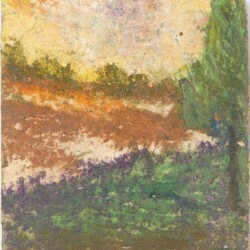 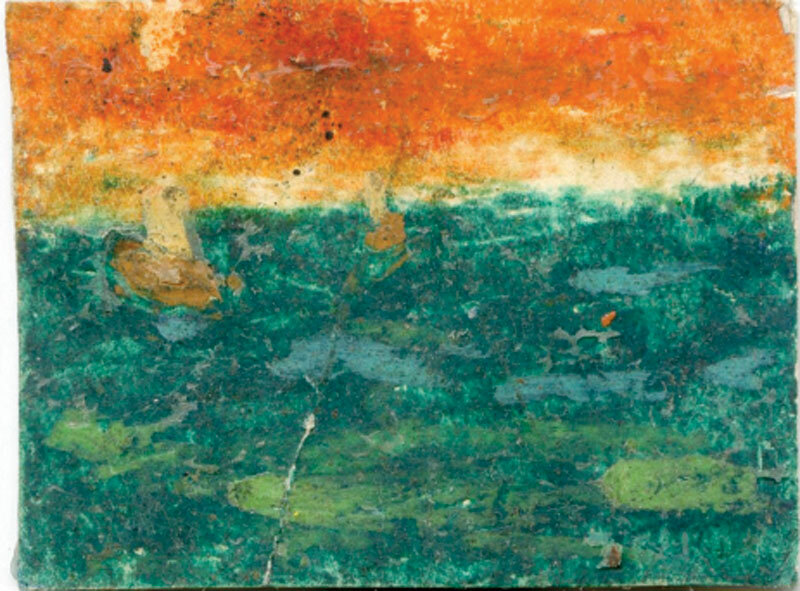 On any small pieces of paper he could find - sometimes on cards the inmates played with – he visualized his favorite subjects, which were not far from those preferred by his "underground" colleagues and friends outside prison: landscapes and portraits. 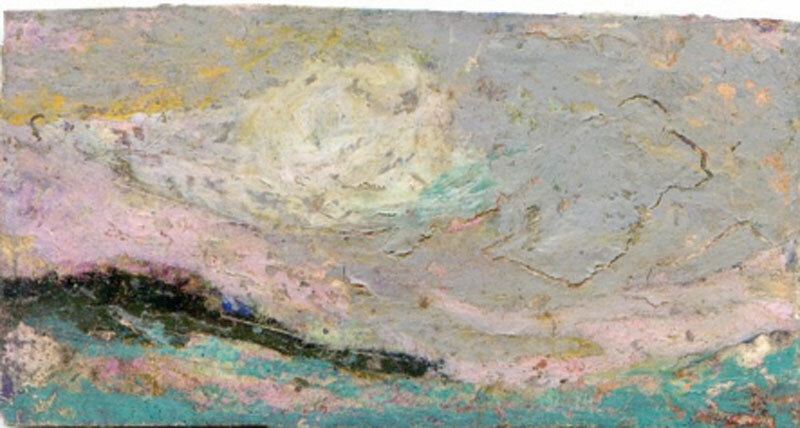 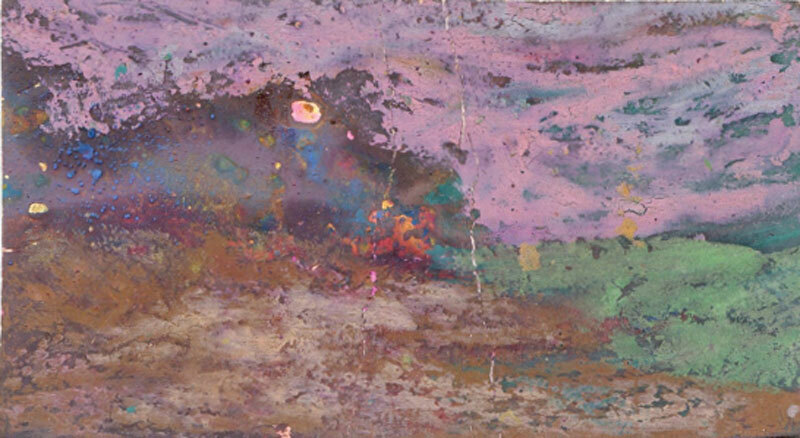 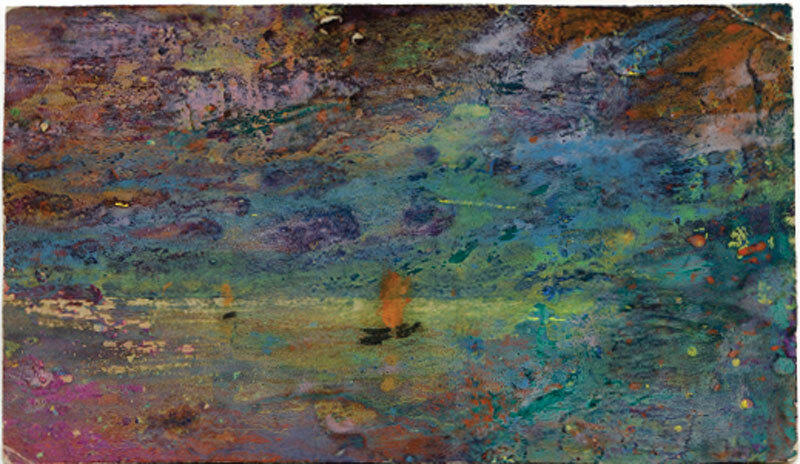 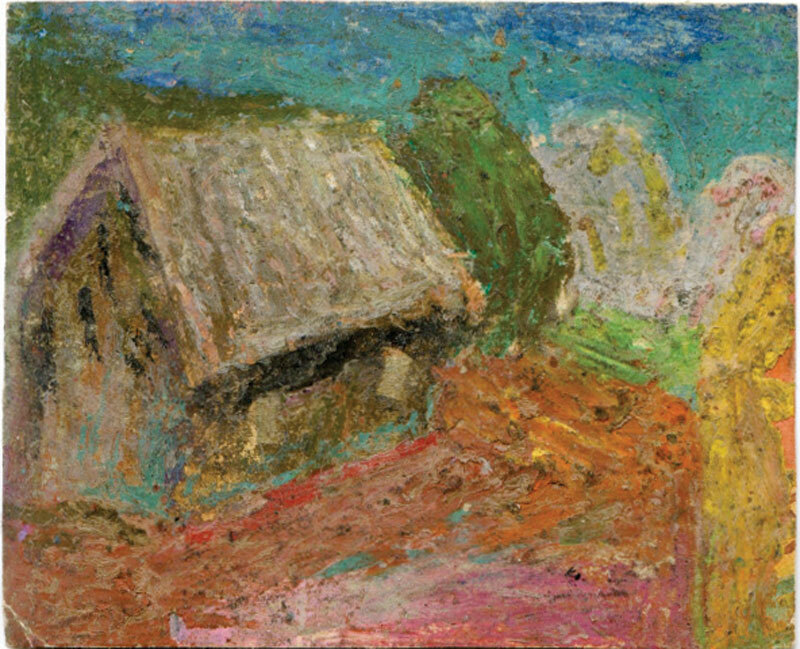 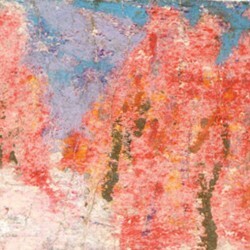 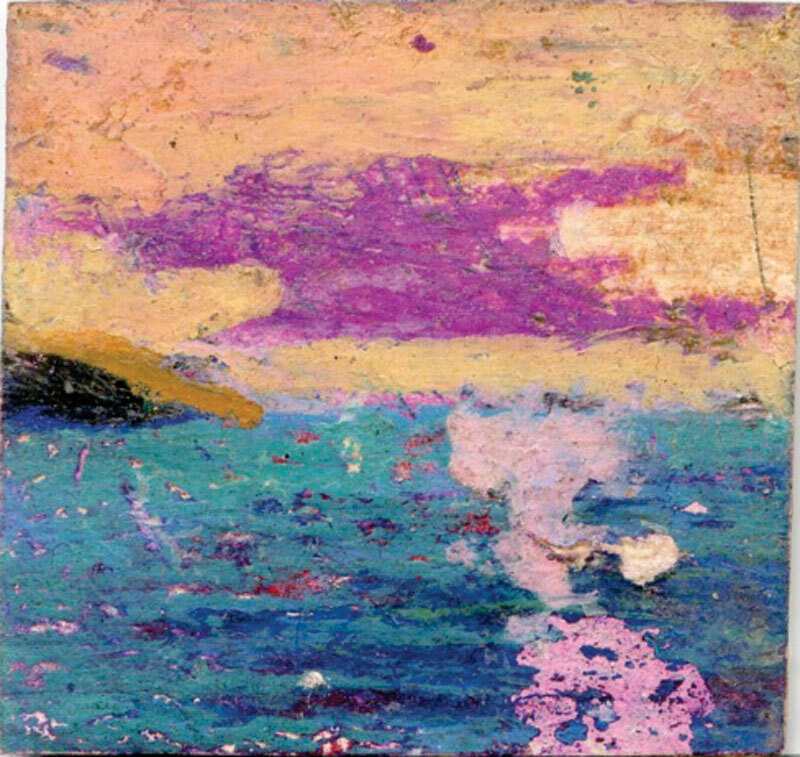 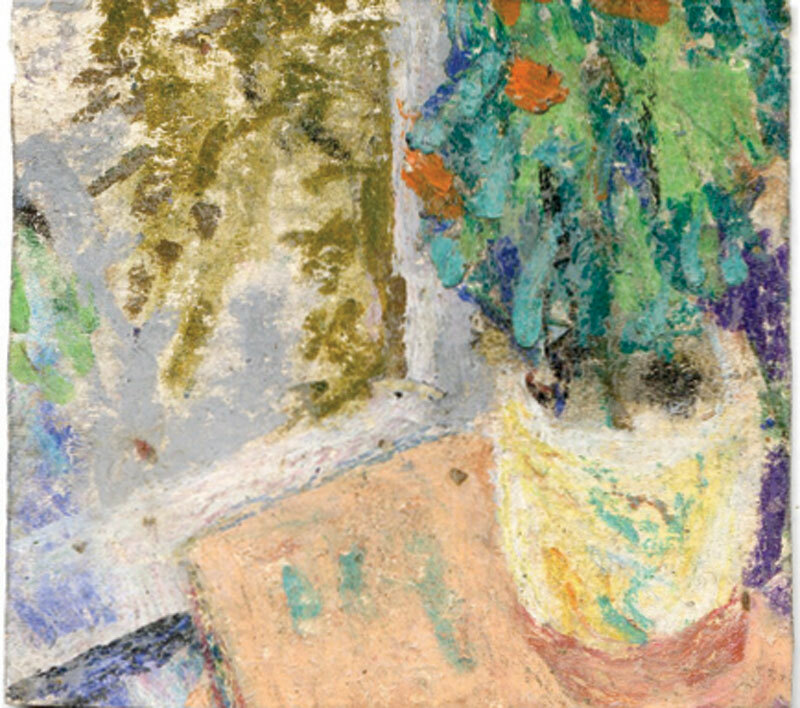 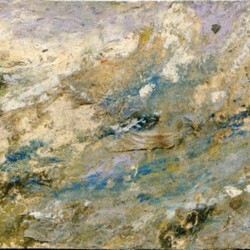 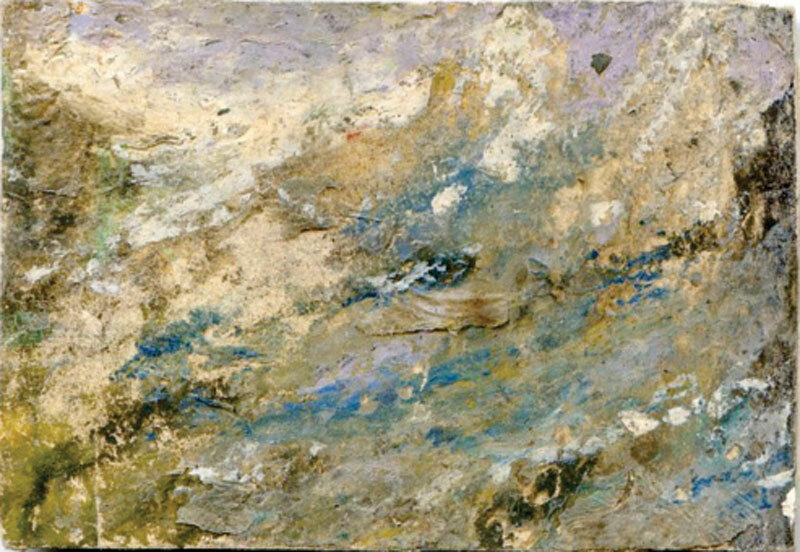 Unlike his colleagues, such as the impressionistic "Wuming" and "Star Group" artists, he wasn't able to draw what he saw, so his works were guided more by his imagination and emotional disposition. 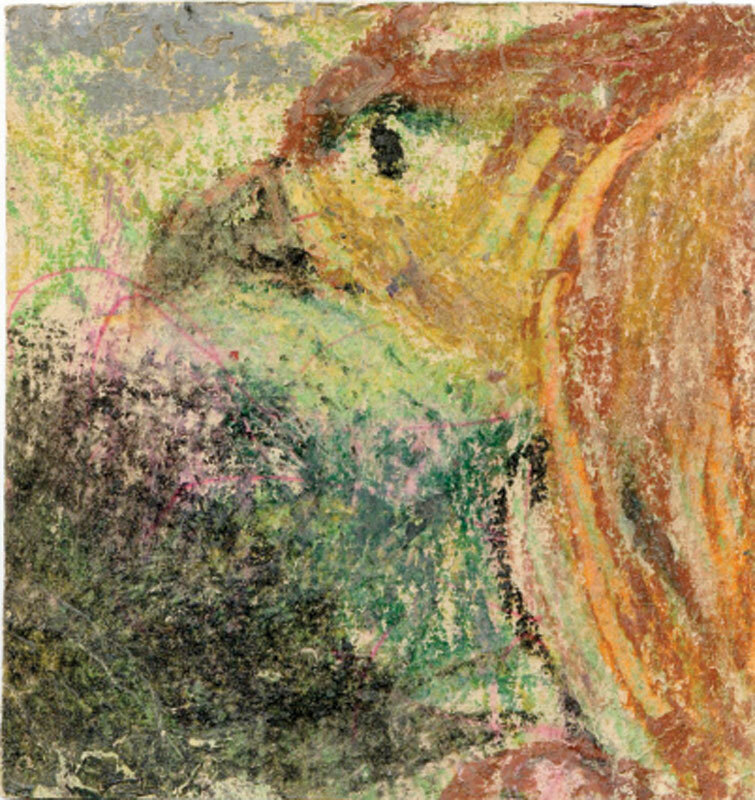 He was not a realist or an impressionist; in these drawings he showed himself more as an expressionist with surrealistic influences. 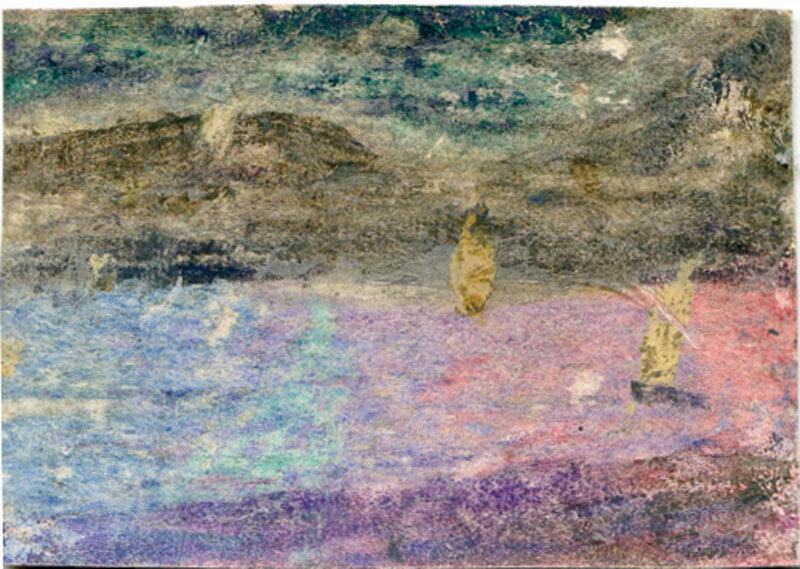 The arcadia-like landscapes of mountains and valleys, the tinted skies of blue and red, the translucent seas of almost idyllic tranquility, as well as the portraits in expressionistic hues and appearance are clear messengers from his state of mind. It was his way to survive the bare living conditions and to kill the boredom of a caged life. 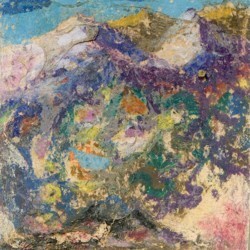 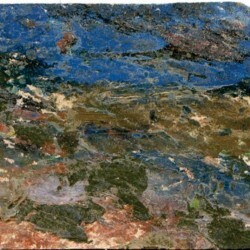 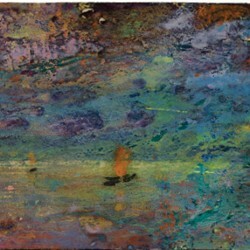 In that way it shows us a rare inside glimpse of life as an imprisoned artist. 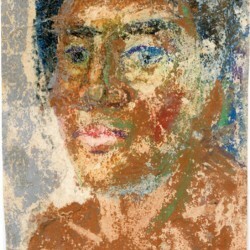 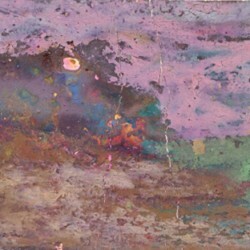 The years of oppression and imprisonment spawned a level of artistic expression that is uncanny in future developments. 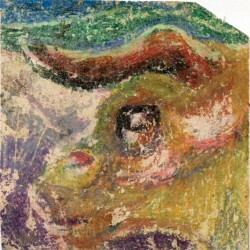 Without awareness of markets and reputation, art was art in its most original form. 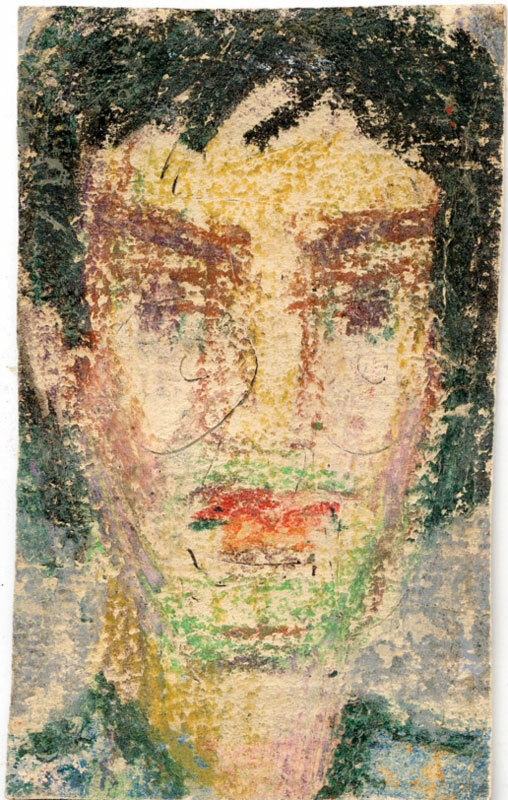 In a time of tight censorship and surveillance, artists like Kang Wanhua used drawing as a most direct outlet of mind and soul. 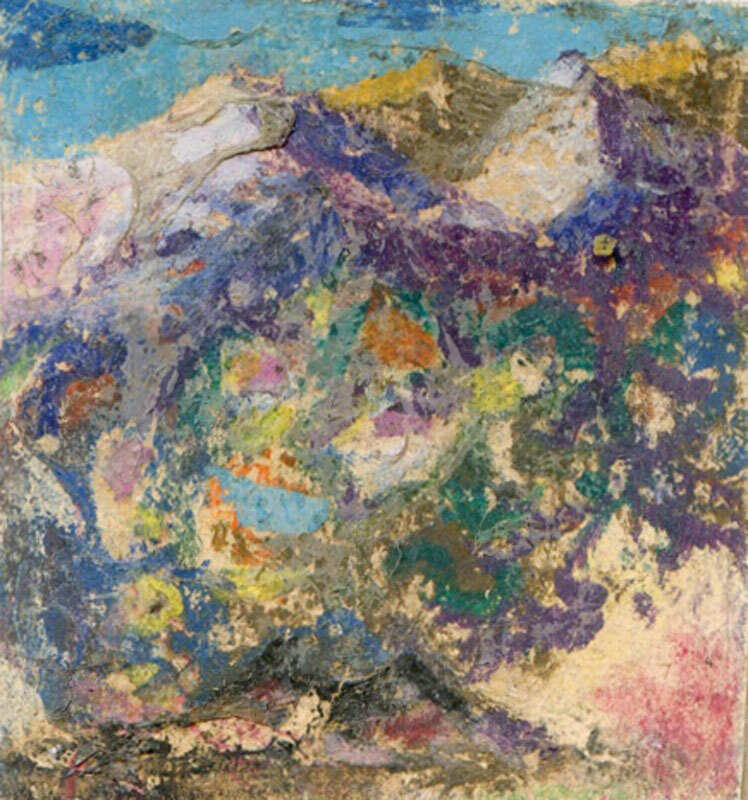 Although Kang never established a career as a professional artist, the importance of his contribution to art production of the early years of Chinese contemporary art stands un-wavered.